Whether you opt for a pub quiz in London with your mates or co-workers, prefer a night in a themed bar, or love going to see a show or some live music, this is the time of year when it’s absolutely imperative to get out of your house and office, and seek out the good times. Seasonal depression is a very real thing, and it affects more people than you would think. The problem with living and working in London, of course, is that the darkness and greyness we experience at the end of the year seems all the more overwhelming in the big city, meaning that Londoners get a bad dose of seasonal depression (also known as SAD or seasonal affectiveness disorder). It’s important to remember, however, that this city isn’t all darkness and bleakness. Far from it, in fact! The big city provides a wealth of options to combat the blues and fight seasonal depression.. Indeed, once you start scratching beneath the surface, you’ll uncover a glittering array of venues, pubs, bars, activities, and events going on… the perfect cure for a nasty case of the winter blues! 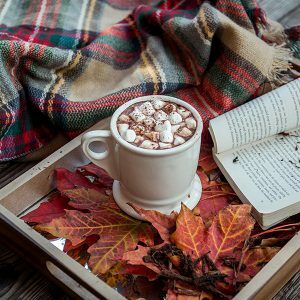 In this article, we at Venueseeker decided to tackle seasonal depression head on, not least because we’ve all experienced thelow vibes of the grey winter at some point or another. We’re lucky enough in this company to know all the coolest venues and happenings in the city – from the smallest and most intimate London pub quiz to the biggest parties in town – and we reckon the best cure for the misery of winter is to put on your glad rags, head out of the house, and check out some fun activities going on at beautiful pubs, bars, and venues across the capital. Believe us, there’s more than you’d imagine to choose from, and whittling this list down to just a handful wasn’t easy! So, without further ado, let’s dive right into our favourite venues right now in London offering the kinds of fun activities, experiences, or atmospheres that are sure to blow the blues away, get you socialising, and forgetting all about the unending rain and icy winds. Sometimes, all it takes to blow away the cobwebs and get you back to your old self again is a night out with your friends or co-workers, enjoying a few drinks, plenty of lively conversation, and maybe a pub quiz in London or an evening of dancing. In all of these things, The Sindercombe Social really comes into its own. This versatile venue is beautifully laid out with edgy exposed brick walls, and a handful of function rooms which range from the spacious to the intimate. The fully stocked bar offers a wealth of craft beers, real ales, wines, and European lagers, and with its 400 person capacity, has plenty of space to throw a rollicking party if that’s what you’re after. Thanks to its spaciousness, versatility, booths, and tables, The Sindercombe Social is a particularly popular venue for corporate quizzes and games nights. What could be better than getting together with your team, staying warm in a beautiful venue, and challenging yourself to a fun night of trivia? You’d easily forget your seasonal lows, and leave the pub on a real high. Seasonal depression and adulting seem to go hand in hand. When we were kids, we just got on with it whatever the weather,,-we still need let go and have fun when needed. So why not indulge in some childhood nostalgia and play board games Board game take us back to simpler pleasures, when we can escape into carefully-crafted fantasy worlds, or apply our mastermind way. Board games are engaging, fun and also bring out a competitive side to lift your spirits. If you’re looking for a great pub or venue at which you can enjoy a quality range of board games, then The Hoxton in ever-trendy Shoreditch is definitely the one for you. Not only does it have several comfortable rooms in which you can kick back with a nice drink, shutting the wind and rain outside, but it also features a library in which you can relax, read, or catch up on work, and a dedicated playroom, packed full of free board games you can enjoy with your friends, or alone. The perfect solution for when you want to escape into a bit of innocent fun! One of the best ways of beating the blues that come with the changing of the seasons is to exercise your competitive spirit, and enjoy a bit of sporting fun with your co-workers, friends, or with complete strangers. While some people might like the thought of playing a game of five-a-side in the howling wind of late autumn, that doesn’t quite sound like our idea of fun. Bowling, on the other hand, will do very nicely indeed! 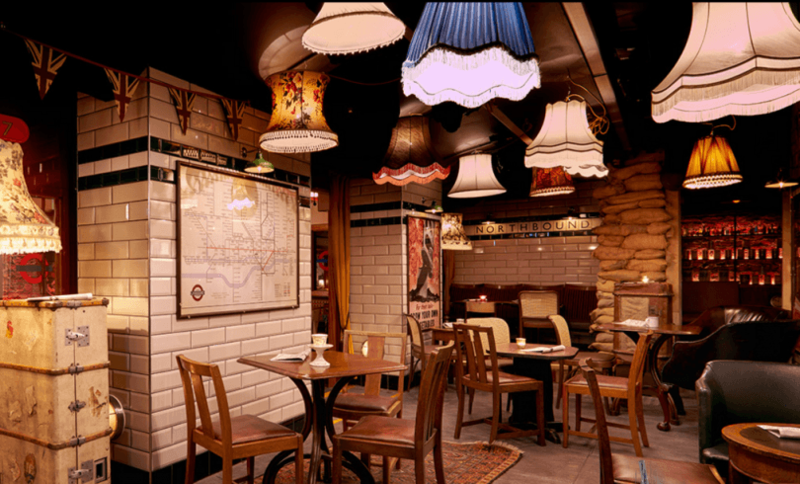 All Star Lanes in Holborn is a fantastic vintage diner, famous for its retro menu and 50’s Americana-inspired parties. 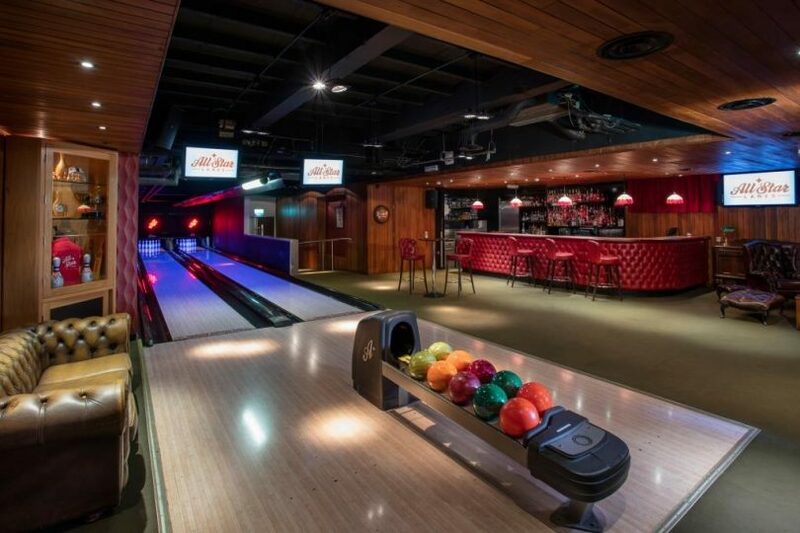 It’s also renowned for its excellent bowling alleys, which allow guests to sip at an ice cold beer while knocking down skittles at the end of a long day. 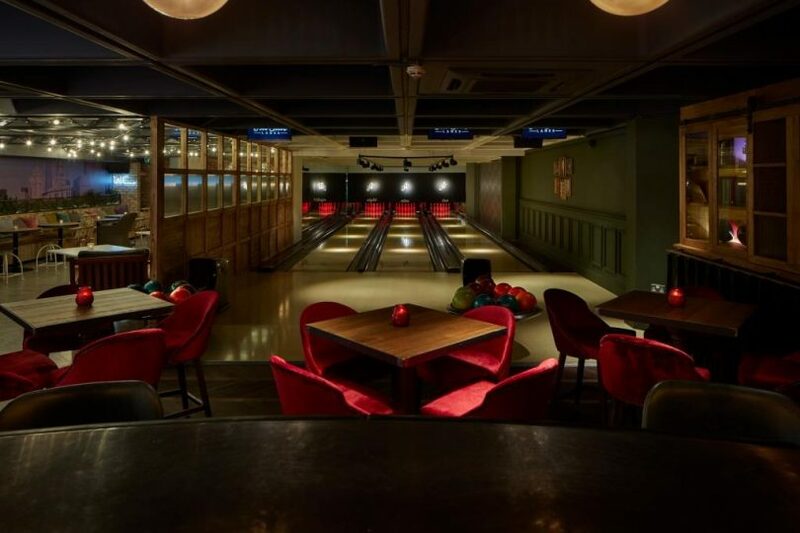 Live out your Big Lebowski fantasies (they do serve a mean White Russian, after all), and put a big cheesy smile back on your face at this superb central London venue! It might seem a little strange to try to escape seasonal depression by heading into London’s coldest bar… but there’s method in our madness, believe us. Icebar London isn’t just a pub with the air conditioning turned up to the max. It’s a unique concept bar, inspired by the original ice bars in northern Sweden, where you really can escape from the dreariness of everyday London life, and head into a whimsical winter wonderland which is, frankly, completely unforgettable. At Icebar, pretty much everything you see is made from the purest ice carved from the Torne river in Sweden. Ice seats, ice tables, a wide bar made from a block of ice… even the glasses you’ll sip your clear and delicious vodka cocktails from are made from pure ice. The effect is utterly stunning and completely magical; the cool blue lights and quirky atmosphere of the place is sure to snap you out of even the foulest mood! From the arctic circle to the tropical rainforest, London really has no shortage of fantastically quirky and unusual themed pubs and restaurants. When you’re feeling low, going somewhere which is more than just bar is pretty much essential. You want to go somewhere which snaps you out of your comfort zone, immerses you fully into a new world, a theme, or a concept, and allows you to forget about whatever’s going on outside the door for at least a few hours. 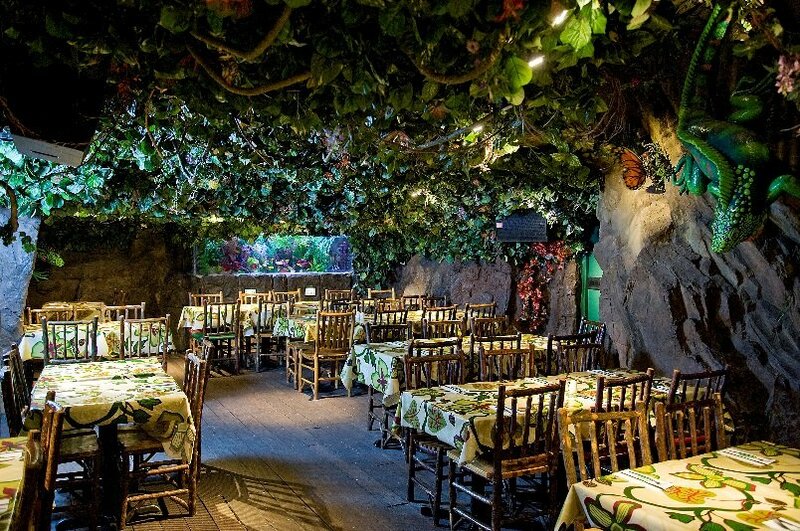 In this sense, the Rainforest Cafe really does hit all the high notes, as – trust us – there really isn’t anywhere else in the capital quite like this! It might be in the bustling heart of central London, but stepping into the Rainforest Cafe really is like going on a mini safari into the depths of the Amazon. Huge stuffed animals, a synthetic thunderstorm experience (complete with rumbling thunder and flashing lights) and an exotic ambience awaits. Whether you’re out for a corporate dinner or an intimate date, there’s no doubt that a meal or a drink at the Rainforest Cafe will leave you grinning from ear to ear! A wise man once said that art is whatever makes us happy to be alive. If that’s the case, it surely makes sense when you’re feeling low to spend your free time surrounded by as much art as possible. 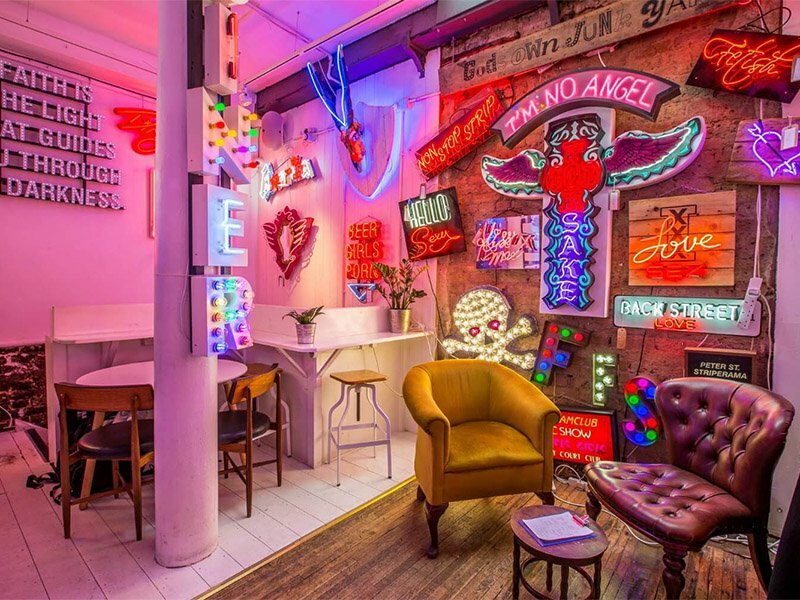 Enter Lights of Soho – central London’s most cutting edge cultural hub, hip bar, and art gallery, all rolled into one. In this stunning and secretive bar, you’ll be faced with wall after wall of mind-blowing artistic creations, with a particular emphasis on neon art and light-up displays… the perfect solutions for snapping you out of a dark mood caused by seasonal depression! Not only are there regular new displays and exhibitions going on at Lights of Soho, it’s also a great place to see some weird and wonderful performance pieces, the odd impromptu gig or full-blown concert, and meet some interesting characters for some lively conversations. It’s hard to think of a more vibrant venue in the city, or a better place to spend your time when you need a boost of colour, light, and energy in your life! The legendary 100 Club has hosted more than its fair share of musical greats across the decades. From when it opened in the 1940s, music fans have flocked to this underground venue to get their fill of the latest hip sounds, and it became something of a mecca for those seeking excitement during the revolutionary punk years in the 1970s. Today, it’s still going strong, and it’s an absolutely brilliant place to get your dancing shoes on, or enjoy a corporate party or an intimate night out. The great thing about the 100 Club is you really get a sense of that historical and cultural significance just from the atmosphere of the place. To share a space with some of the all-time musical greats is a thrilling experience, and this venue has an ambience which simply blasts away stress or depressive moods like you wouldn’t believe. It’s impossible not to feel cool and sophisticated sipping a beer or a cocktail at its plush and shadowy bar, and we’d struggle to think of a more iconic and vibrant venue in the city. Perfect for when you really need a change of scenery and a night out with a guaranteed brilliant soundtrack! 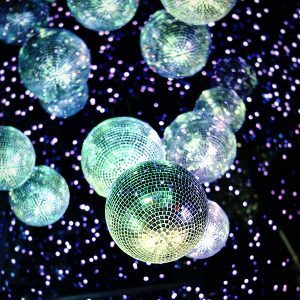 Well, there you have it: some of our absolute top picks for the kind of nights out that are sure to blow the blues away. From board games nights or pub quiz in London to iconic music venues, and from the arctic circle to the tropics, nothing beats exploring exciting venues which really snap you out of your funk and get you feeling alive. Isn’t it time you starting heading out and seeing what this city’s all about, and stopped letting the inevitable changing of the seasons spoil your mood? Here at Venueseeker, we love staying on top of all the best venues that London and the UK in general have to offer. There’s always something new to uncover, and we’re proud to have the cream of the crop on our bookings lists. If you’re looking for more information about the best, most interesting, and most versatile events venues, bars, halls, blank canvas spaces and more, get in touch: we’d love to hear from you and reveal some more of our best-kept secrets! Make no mistake: the gin renaissance is well and truly here, and it doesn’t look as though it’s going to fade anytime soon. In fact, it’s probably not since the days of Hogarth’s Gin Lane back in the 18th century that this particularly English spirit has been so widely adored, although the ‘mother’s ruin’ you get nowadays is considerably more refined and delicious than it was in those somewhat more chaotic times! Here in London, there’s no shortage of vintage-themed bars, kooky speakeasies, and trendy cocktail joints to visit, and right now, they’re all celebrating the grand return of gin in real style. 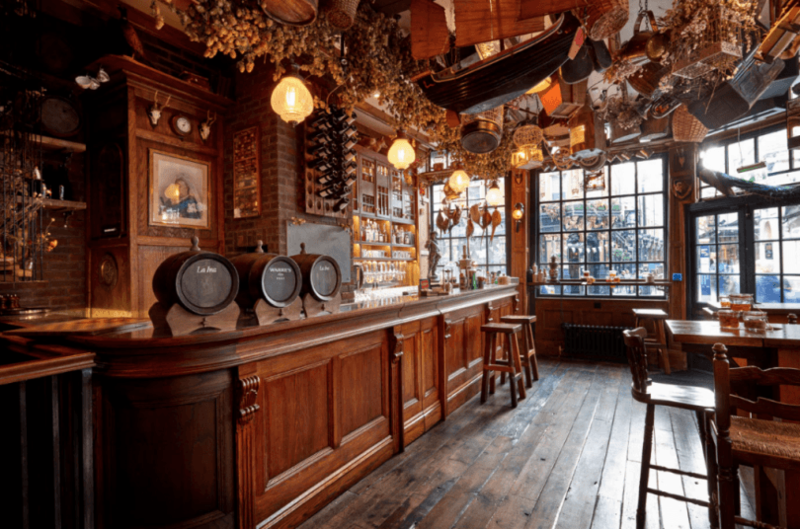 This delicious spirit has always had a fairly retro vibe about itself, and this anachronistic approach has inspired plenty of truly fascinating pubs and bars to up their game when it comes to ambience, decor, and generally seeking to impress. For fans of gin, there’s simply never been a better time to go looking for a top tipple in the capital! At Venueseeker, we love a gin-based cocktail as much as anyone. That’s why we’ve decided to put together this unique blog, which is not only going to introduce some of our favourite gin haunts in London to our readers, but which is also going to lay out some simple, classic, and timeless gin cocktail recipes for you to try out at home. What could possibly be better? Everyone loves the classic Tom Collins cocktail – it’s one of the fundamental building blocks in any gin fan’s repertoire! This cocktail uses the uniquely British flavour of elderflower to provide a gorgeously summery and floral twist… and we absolutely adore it. In a cocktail shaker, shake up your gin, lemon juice, sugar syrup, and cordial, with plenty of ice. Pour into a glass (over more ice), and top up with sparkling water. Decorate with a sprig of thyme. If you feel like being fancy, you can replace the soda with a sparkling wine… which really adds to the decadence of this top cocktail! If you’re a fan of high quality gin cocktails, and love revelling in the unique and quirky retro vibe which surrounds this particular spirit, you’re going to be utterly enamoured by Mr. Fogg’s Tavern. With its gorgeous and sumptuous decor, Jules Verne-inspired victoriana and somewhat steampunk aesthetic, it’s the kind of gin palace that, once visited, is simply never forgotten. A treat for all the senses, and staffed by mixologists who know how to whip up a perfect gin cocktail, it’s sure to become a new favourite for all your small-scale events and meetings! 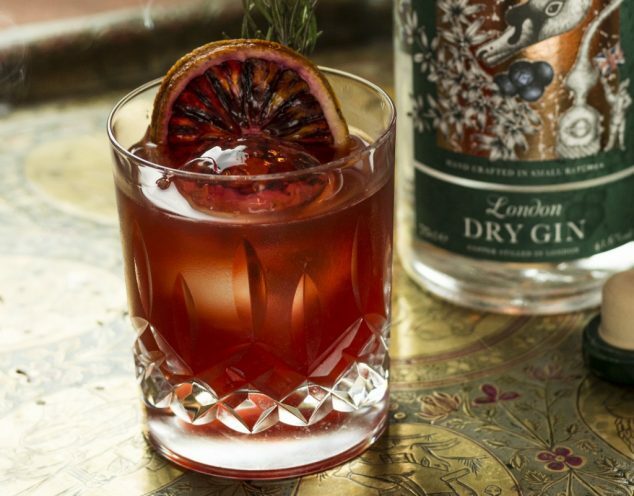 For most of our British readers, sloe gin is the quintessential taste of cold winter evenings, and something we look forward to all year long. This brilliant twist on an absolute classic brings a real sense of the festive to proceedings, and this is definitely a cocktail to impress your friends and family with! In a cocktail mixer loaded with ice, shake together the sloe gin, the sugar syrup, the lemon, a rosemary sprig, and the egg whites. Shake really vigorously – you want that egg white to be really nice and frothy. Pour straight into a wine glass, and use the rosemary as a garnish. Gin has always had a sense of the bohemian about it, and Six Storeys is a beautiful Georgian venue which positively drips in bohemian glamour and laid-back chic. Beautifully furnished, opulently decorated, and undeniably sophisticated, this is one central London venue which really captures the unique spirit of its Soho location. For medium-sized events and receptions, this Soho Square venue is utterly superb. With entire floors for hire and capable of housing up to eighty guests, it’s the kind of place that is sure to impress your guests and make a big impact on business partners at meetings, after parties, and launches alike. The well-stocked bars are definitely an added bonus, too! Nothing tastes as much like a summer holiday in Italy as a Negroni does. This cocktail demonstrates a masterful use of flavours and ingredients, and despite its simplicity, it really does pack a punch. Gorgeously refreshing, devilishly sophisticated, and a classic which grows more popular year on year. Pour the vermouth, the gin, and the campari into a glass over some ice. Stir well to chill, and then add some orange peel or zest to the glass. Enjoy! If you’re looking for something truly special and unique for your next event, then few venues in London have a vibe, ambience, or make an impact quite like the Victorian Bath House. This is a venue which glitters like a historic jewel in London’s crown, and offers a true sense of escapism from the hustle and bustle of modern life. It is, quite simply, stunning; original decor and architectural features transport you to the heights of Victorian fashion, and allow you to revel in a state of sheer splendour from bygone years. For gin fans, it also offers another major draw: this venue actually houses a gin distillery, which makes small batches of superb quality gin according to original Victorian recipes! It really doesn’t get much better than that! Every year, there seems to be some reimagining of the Martini featured on the cocktail menus of trendy bars up and down the country. We’re actually quite partial to some of these interpretations of the classic… but sometimes, you really cannot beat the refreshing, delicious bite of the original. The last word in louche elegance, great taste, and sheer sophistication! The trick to making a great Martini is to make sure everything is as cold as possible. The bottles of spirits should be chilled, and the glass should be frozen. Mix together the spirits with plenty of ice, and strain into a Martini glass, before garnishing. Your choice of garnish should depend on the gin you’ve used… but we think an orange peel twist is the way to go for most mainstream gin brands. When it comes to contemporary glamour and sleekness, it doesn’t get much better than the beautiful gin bar of the Hilton Bankside. This stunning bar sits in the heart of the design-led hotel, situated in one of London’s most beautiful locations. 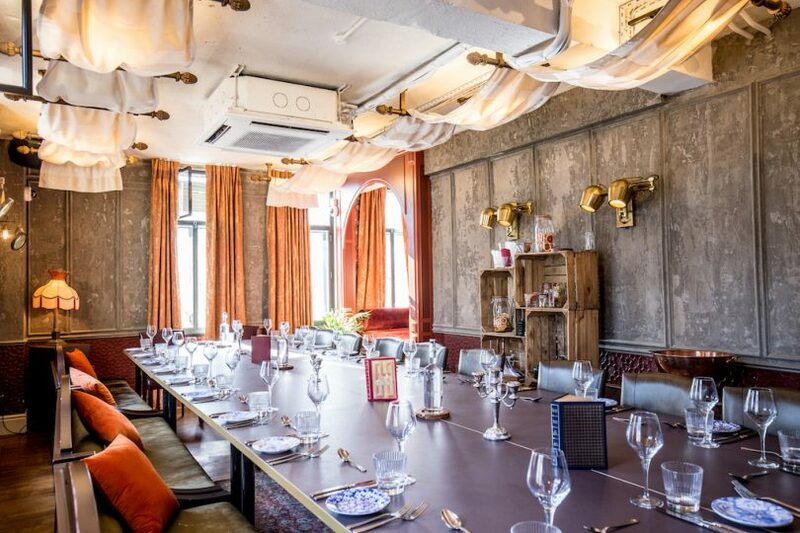 If you’re looking for somewhere stylish to hold an intimate meeting, or just enjoy well-mixed gin cocktails with your colleagues, it’s hard to think of a more fitting venue! If gin is hot news right now, that must make the French 75 – a delicious fizzy cocktail using this spirit as its rocket fuel – absolutely on fire! Despite the name, this drink was dreamed up at the legendary Harry’s Bar in New York. Mix together the gin, orange bitters, lemon juice, and sugar syrup in a Champagne flute. Top up with bubbly, stir once with a cocktail stirrer, and enjoy! If you’re looking to get truly up-close-and-personal with your favourite spirit, then where better than an award-winning distillery? The Distillery has made waves in the gin world, thanks to its unique Portobello Road Gin, made right here in this stunning location. However, The Distillery isn’t just a central London gin producer, it’s also home to a strikingly beautiful and sophisticated bar and dining room, perfect for meetings, receptions, or small and intimate events which require a truly stunning backdrop. As if that wasn’t enough, The Distillery also offers guests a tour of the working side of the venue, and a tasting experience which will provide you with greater insight and knowledge of the history of this drink and the subtleties within. It’s a gin-lover’s dream come true! Gin Bars and Cocktails: A Recipe for Events Success! There you have it: our top five gin cocktails, and the five hip and happening London bars which are mixing these drinks with real flair and panache. Here at Venueseeker, we absolutely love seeking out the hottest new bars and venues for our clients… and if they serve these kinds of cocktails, well, let’s just say it makes our jobs all the more pleasurable! If you’re on the lookout for a fantastic venue for your next event, we’ve got the contacts, the know-how, and the skills you need to get it booked and properly decked out for any occasion. Want to find out more? Get in touch with a member of our team today! There are countless great venues out there which are more than capable of taking care of pretty much every detail, from the decor to the catering, from lighting to AV, and everything in between. However, for some event managers, that’s just not going to cut it. Some events require the eventprof to have a higher level of control, and to explore the potential of absolute flexibility. That’s where dry hire venues really come into their own. 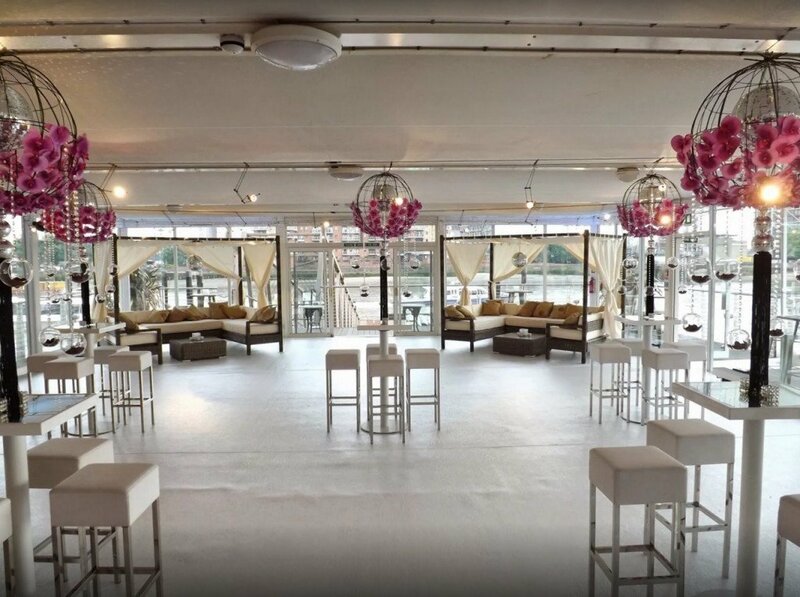 Sometimes, booking a dry hire venue in London can be a real asset to an event. Not having any dependence on the services provided by the venue frees you up to let your imagination fly, and allows you to exert far more creative control – a stance from which you are able to take care of all the fine details which make up a truly memorable event. In this article, we’re going to be taking a closer look at dry hire venues, what they are, and why they might be the best option for your next barnstorming event! What is a Dry Hire Venue? When booking a venue, the term ‘dry hire’ refers to an approach which involves the client (or event manager, in this case) paying only for the venue… and not for any of the usual services which come with the venue as standard. This allows the event management team to organise everything else on their own terms, and provides scope for more personalisation and customisation in important factors including (but not restricted to) theming, decorations, food and drinks options, AV setups, staffing, and more. Hiring a venue as an ‘empty shell’ (which is probably the easiest way of understanding the approach) is something which comes with plenty of advantages and disadvantages. What’s more, some venues are ‘dry hire only’, while others will have their own rules and policies in this regard. If you’re interested in dry hire venues in London, it’s always best to ask well ahead of your event date to find out the specifics of what you can and can’t do in any particular space. When it comes to the plus points of dry hiring, this one sits right at the top. This approach allows you to really build a theme or concept from the ground up, and gives you the chance to completely customise your event to the nth degree. You’ll be working with people you know and trust, as opposed to whoever the venue hires to sort out the various daily tasks of running the place. This comes with plenty of benefits, and also helps you stay in control of what happens during your event. Many event managers are shocked at just how much there is to do when working with dry hire venues. For less experienced events teams, this can end up being a bit overwhelming, especially as many of the tasks usually managed by the venue staff often aren’t taken into consideration by the clients hiring the space. Believe us, this can be hard work. If you’re focusing on building jaw-dropping sets, organising running times, and generally doing all you can to ensure your event blows your attendee’s minds, the last thing you want to do is contact suppliers and caterers, compare quotes, finalise menus, and all the rest of it. If you have time or a colleague capable of doing this all, then go for it. If not, you might find yourself with your hands rather full! Some venues can be more expensive to dry hire, as certain venues may charge you for lost revenue caused by a catering team being laid off for a day. 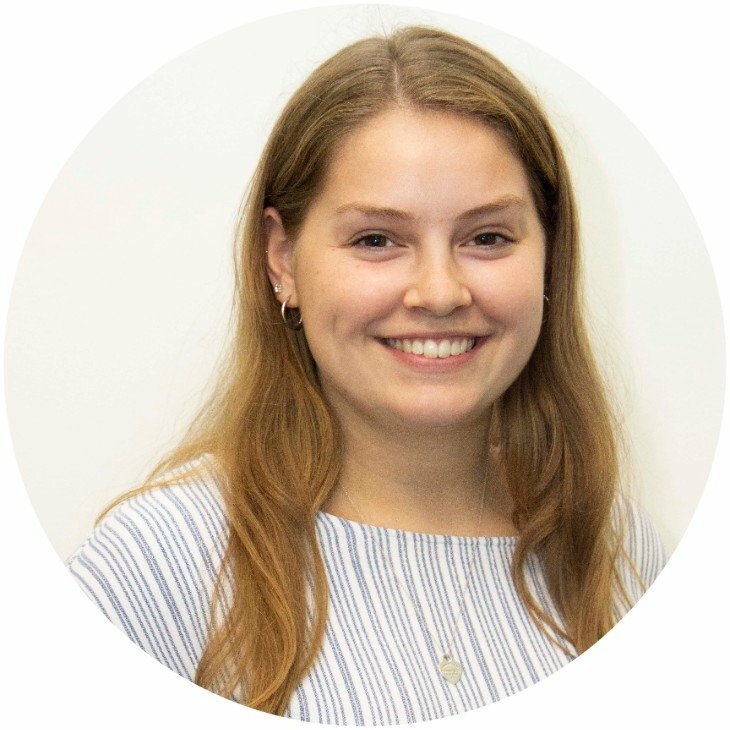 What’s more, unless you have fantastic connections with suppliers and caterers, security staff, IT technicians and all the rest, getting all of these individuals and teams on board for a day can end up being more costly than relying on the venue’s in-house workers. Dry hire venues can be an enormous asset to your event… but only so long as you are extremely methodical, remarkably well-prepared, and up for putting in plenty of extra work. Check out our top tips for dry hiring below! If you’re opting for a dry hire venue, the first thing you need to have is an incredibly clear vision of what your event is going to be, and exactly what it is going to entail. You’ll have to be considerably more thorough than you would be otherwise with a different type of venue, as you’ll have to establish right away what the venue is suited for, what it can accommodate, and what restrictions or issues you might face. Your decoration and design will be based on a number of different factors. You’ll have to consider how much time, money, and manpower you have to set it all up on time. You’ll need to think about the capabilities of the venue itself (part of the reason ‘blank canvas’ venues in London have become more popular recently is due to the fact that they are much better for decorating than a hired hall in a stately home, for example), and you’ll need to ensure the end result looks tasteful, stylish, and not tacked-on and out of place. Catering is a really significant part of any event, and the food and drinks are one of the first things that’ll start winging their way across social media. As such, make sure you’re working with a trusted catering company that’s 100% up for the job, and has either been recommended to you personally, or has the kind of references you can’t pass up on. The venue will probably want to know most of the key details in advance regarding your event. It’s really important to be open and honest, and to let them know what to expect. Meet with the venue manager, and walk through the space together discussing the details as you go. This will hopefully unearth any potential issues. This is a key one: most dry hire venues will supply clients with a document laying out exactly what is included on the day. This is mainly important for your caterers, as they’ll need to know if they need to bring chairs and tables, kitchen equipment, cutlery, etc. You’ll also need to know about speakers, power capabilities, and all those other fine details which are more significant when hiring what is essentially an ‘empty shell’ venue. What makes it unique: Part of London heritage, the monumental building showcases historic charm mixed with modern day elegance sure to amaze it’s guests. A Victorian Grade II listed building that served as a world famous fish market till 1982. Host to several event halls, including The Grand Hall, which now holds varying events from exhibitions to awards dinners located on the old the market floor. The basement of Old Billingsgate, now The Vault, was covered in 50 years of ice used to store the fishermen’s catch. Re-imagined by architect Lord Richard Rogers, the building is a stunning mix of historic and contemporary industrialism. What makes it unique: This historic London brewery is a cavernous and truly intriguing space, filled with historic detail, and even boasting a 49m chimney! 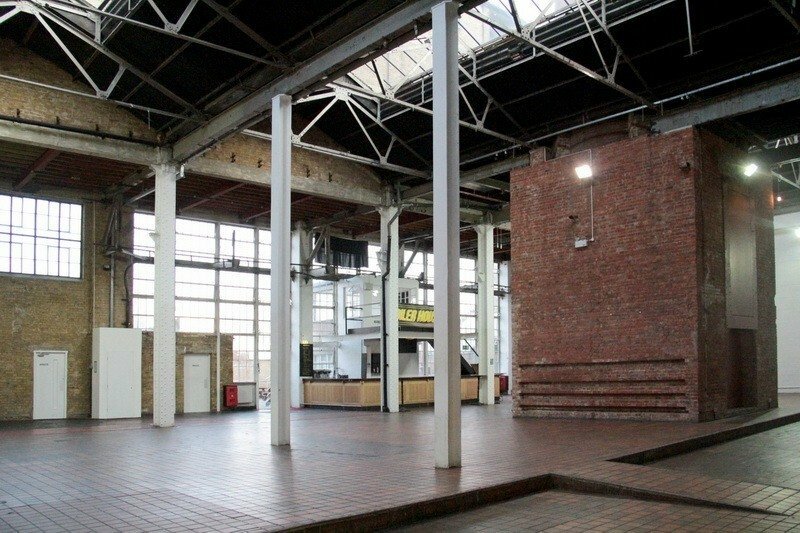 A blank canvas venue in the truest sense of the term, the Truman Brewery spaces have become some of London’s most sought after event venues. With stunning natural light pouring in through the towering windows, and plenty of period features from the 1830s, this quirky venue has plenty to offer, and provides enormous scope for creativity. 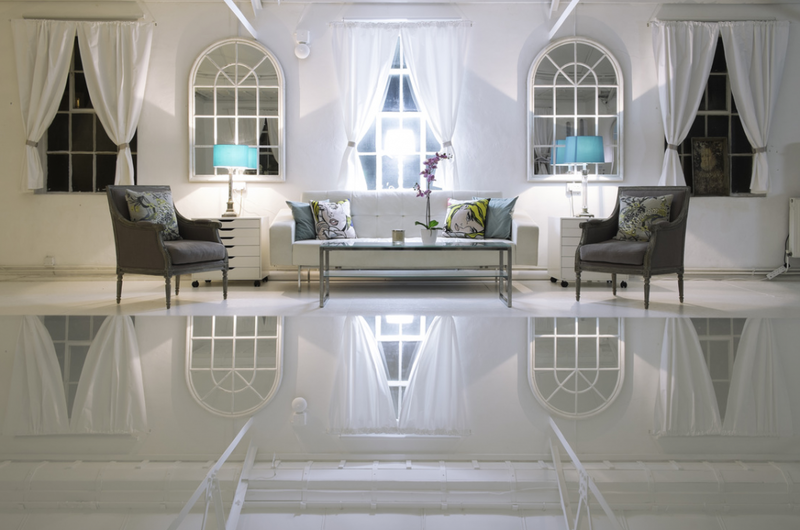 What makes it unique: Ice Tank has quickly gained a reputation for being one of London’s best dry hire venues, thanks to its amazing white spaces, airy, light atmosphere, and ultimate level of flexibility and versatility. 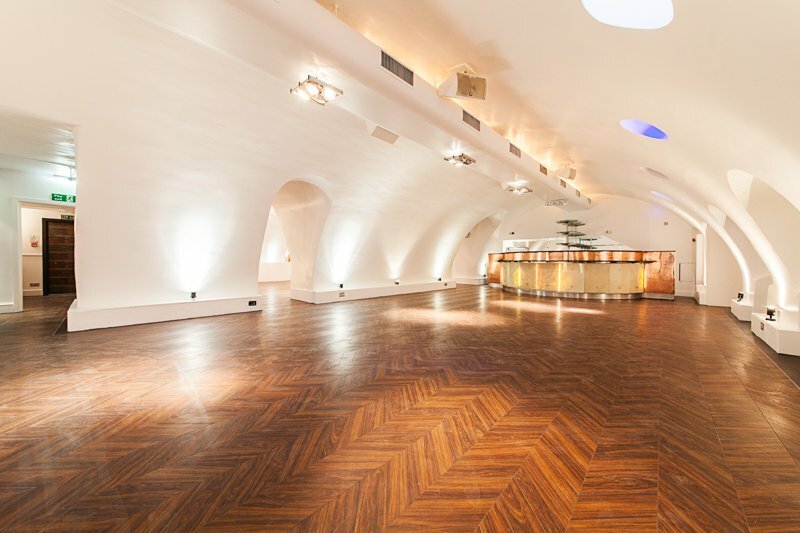 Dazzling, luxurious, and one of London’s most sought-after blank canvas and dry hire venues, Ice Tank is a truly fantastic space tucked away in the city’s beating heart. With its high ceilings, huge open spaces, and innovative approach to everything they do, this is a fascinating venue which has played host to some of the capital’s most exciting events. What makes it unique: Situated on Silex Street, the stunning venue is perfect for photoshoots, visual performances and receptions with a contemporary artistic twist. 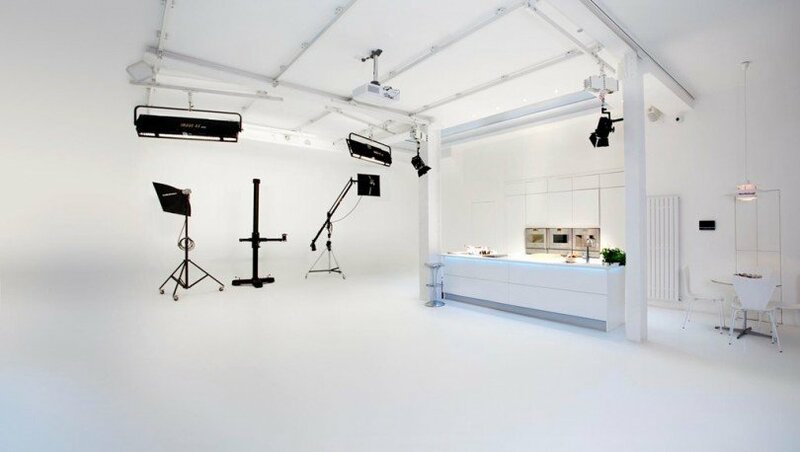 White Loft is a bright and stunning venue that has been home to several world-class brands’ photoshoots and conferences as well as memorable brand launches. The gigantic windows shower the space with immense natural light, but for screenings there’s always an option to black-out the space to fit all your needs. 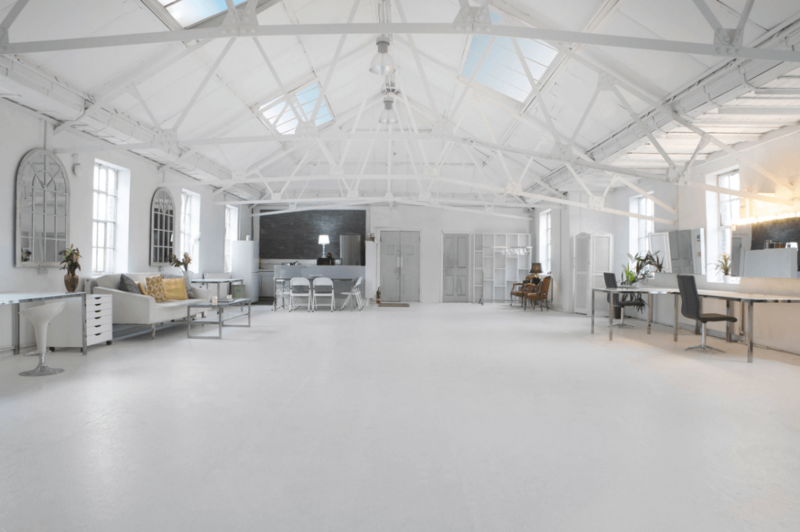 The Venue is also home to the Victorian loft which has a more laid-back tone, ideal for workshops, conferences as well as team-building get-aways. Another space available is The Gallery, which is home to brick walls and immense natural light to best showcase exhibitions where the space becomes part of the art. The cherry on top of the venue is the Tropical Library, which lives up to its name through the greenery and nature-vibe of the space. Everyone is sure to find the perfect location for their event in this multi-faceted venue where the overarching theme is no-compromise on style and quality. What makes it unique: Massive, versatile, and incredibly impressive, Printwork is the giant of the dry venues in London. 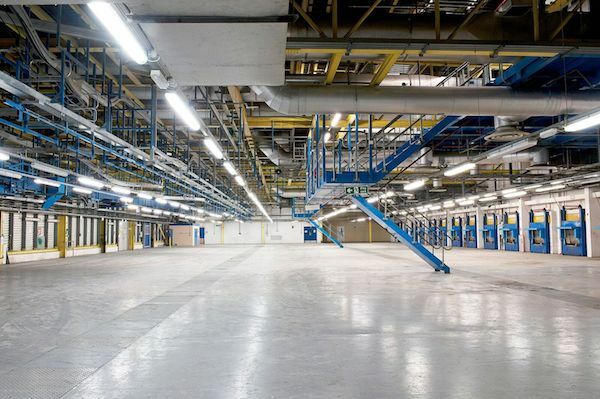 This enormous space is an industrial wonderland, just waiting to be discovered and transformed into something spectacular. With several halls, yards, and more, Printworks is a dry hire venue which offers something for everybody. If you’re thinking big for your event, then this really is the venue for you! Here at Venueseeker, we really love making use of dry hire venues in London. Why? Because they give our creative team the freedom to really let their imagination fly, and it’s always fascinating to see what they come up with! There’s little doubt about the fact that this type of venue can be highly beneficial for event planners with plenty of ideas… even if they do sometimes require a bit more work and effort to make them a success. Whether you’re looking for a dry hire venue for a private, large-scale, or totally off-the-wall event, we’re confident that we have the skills and experience you need to make it a success. That’s why we’re considered among the finest in the industry! What are you waiting for? Give us a call today, and see what we can do for you. I think we can all agree that there’s something magical about cinemas. The sort of London cinemas for hire our clients are most interested in, and which are increasingly sought-after, are especially magical; these are genuine theatres of dreams, where countless individuals have been enraptured by timeless stories, and where the silver screen has woven its charm for decade after decade. Private cinema hire in London is definitely on the up. In the age of digital interaction and virtual meetings, there’s something utterly wonderful about hiring a London cinema – complete with plush seats, elegant furnishings, and that unmistakable vibe – and going back to the old way of doing things. 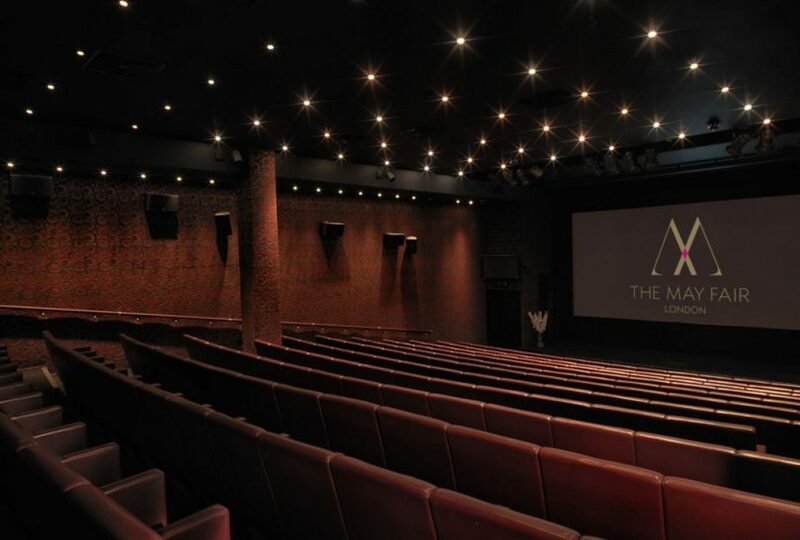 Whether you need cinema hire in London for a private screening of a film, ad campaign, or something completely different, or just want to revel in the beautiful space as a unique events venue, London cinemas have plenty to offer. 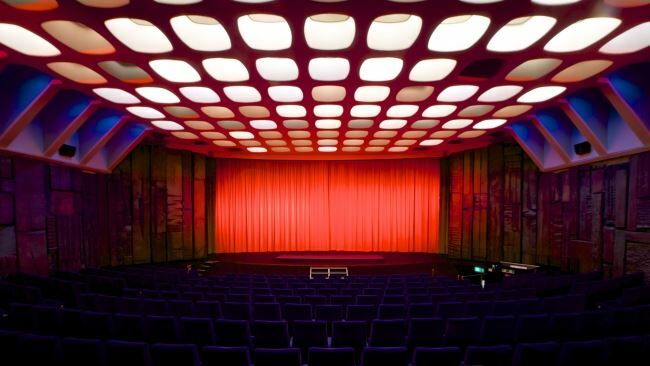 Here at Venueseeker, we’ve definitely got a soft spot for London’s cinemas, both old and new. Not only do we think they make amazing venues for a wide array of events, but they’re the kind of places that just make you smile, take you back to childhood memories, and really encourage engagement. Just imagine how quickly photos of your screening or event would spread on social media, all thanks to the charm and atmosphere of the cinema venue you’ve chosen to hire? That’s just one reason why our clients are clambering to book themselves into one of the below venues, and why we’re always happy to recommend them. 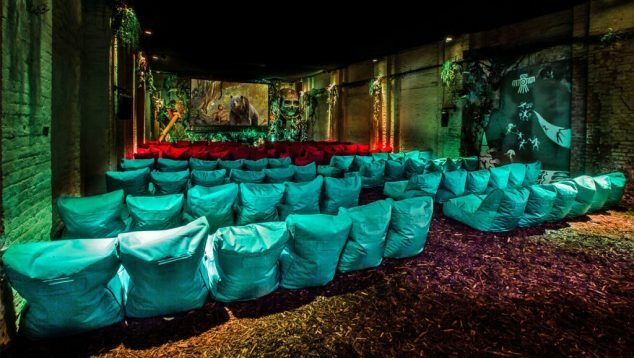 Check out our top cinema hire London recommendations below, and start dreaming about your next event in one of these superbly ambient spaces! 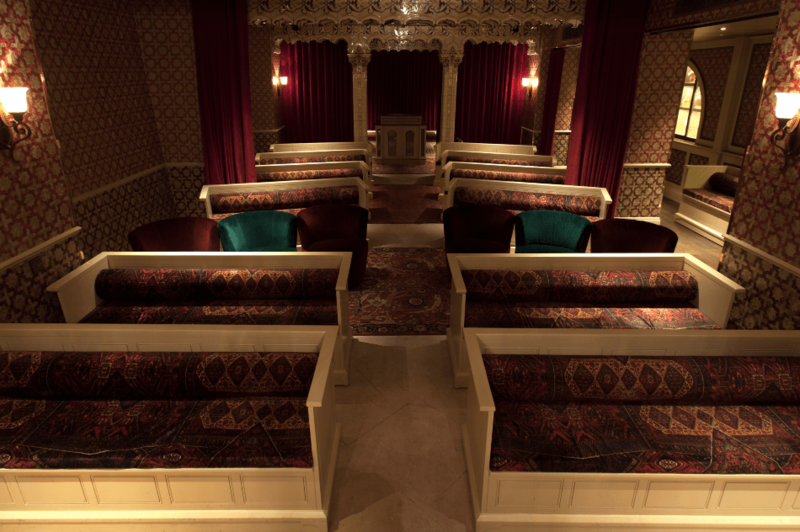 What makes it unique: This beautiful screening room – named in memory of Richard Attenborough – offers a stunningly unique and multisensory experience. With HD sound and vision, 4K resolution, and even a 3D option, it really goes the extra mile to dazzle and impress. 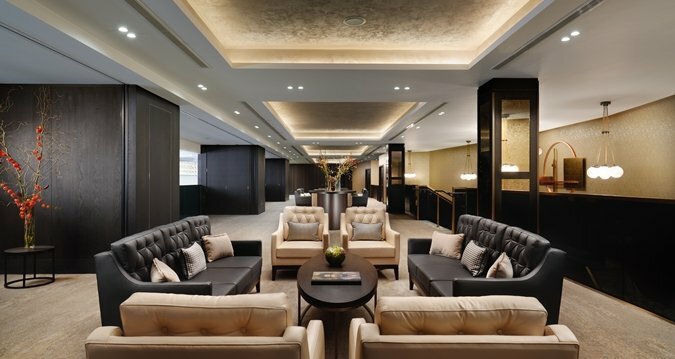 Few brands have the luxury clout that BVLGARI enjoys, and this private screening room at the brand’s flagship hotel certainly delivers when it comes to elegance and sophistication. Decked out in utterly decadent monochrome tones, this multi-function room is as attractive to the eye as it is practical for a number of event types. Naturally, the AV quality here is of a phenomenally high level, the seats are beautifully comfortable, and the number of extras on offer befitting of such a special venue. What makes it unique: Situated in the belly of one of London’s most iconic hotels, this beautiful screening room has a truly classic and vintage feel. 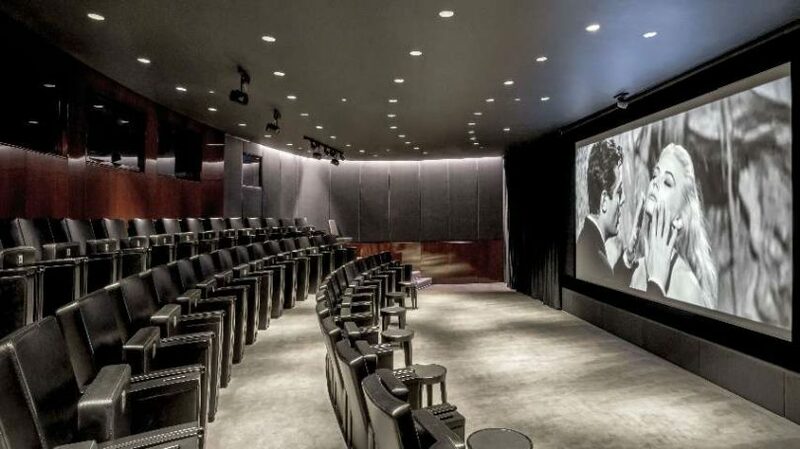 Despite feeling as though it comes straight from the golden age of Hollywood, this private cinema features state-of-the-art technology sure to take your viewing to new heights of excellence. The Mayfair Hotel is a legendary establishment in London, and the screening room is as plush, luxurious, and decadent as you might expect. With beautifully upholstered furnishings, leather fittings, and a gorgeously elegant ochre theme throughout, it really is an absolute treat for the senses. The Mayfair Hotel Screening Room uses the utmost in cinematic technology to ensure absolute clarity and the richest, most awe-inspiring viewing experience, as well as next-generation THX sound systems to guarantee every seat is ‘the best seat in the house’. If you’re looking to blow your guests away with utter sophistication, they really don’t come much better than this. If that’s not enough, there’s also an award-winning cocktail bar attached. What makes it unique: Curzon cinemas are true British icons, and a reminder of a more glamorous, more swinging, and more dynamic London. Capture some of that timeless vibe for your private cinema hire London event, and create something truly memorable as a result. Whether you’re looking to hold a networking event in an iconic venue, a film premiere with an old-school vibe, or something completely different, Curzon Cinemas are fantastic choices for venue hire. 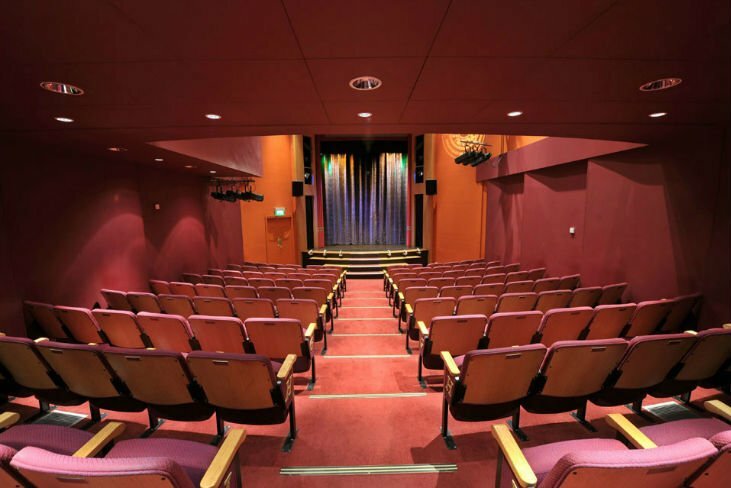 With 13 venues spread across the UK, and a wide variety to choose from in the capital, there’s plenty of options out there to ensure you get the best cinema for your needs. With a Curzon venue, you can be assured of technical brilliance, top-level AV, and a dedicated staff who know how to make your event run smoothly and with full tech support. Perfect for any event with a classic British vibe, and a set of venues which are held in very high regard by the general public. What makes it unique: This intimate venue makes you feel like you’ve stepped back into a bygone era – a time of private clubs, secret screenings, and Champagne served with popcorn (which is an option here, by the way). A truly charming little place, and one which makes a massive impact. 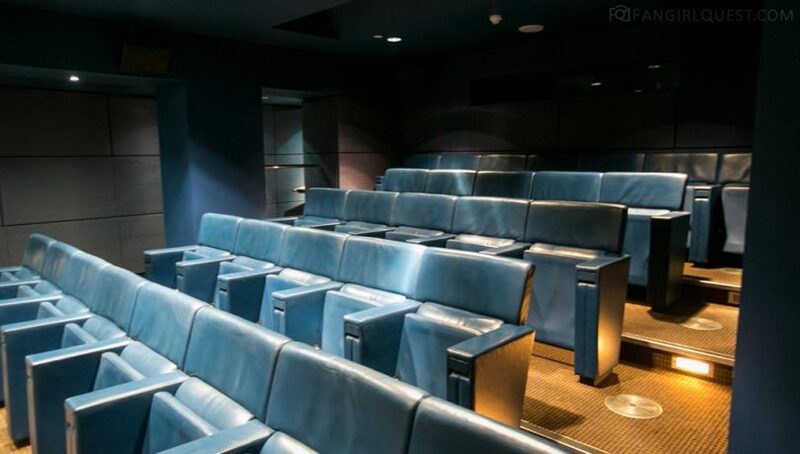 Small yet perfectly formed, the private screening room at One Aldwych is a gorgeously intimate London cinema venue, where every last detail has been accounted for and carefully presented for maximum impact. That means decadent leather seats, 2048 x 1080 resolution, remarkable AV equipment, and a big screen fully compatible with pretty much any device you can plug it into. As such, this stunning little venue is perfect for a wide array of event types, and harks back to the days of private film clubs and atmospheric screenings, complete with a top class bar and reception room in the shape of the adjacent Lyceum. What makes it unique: This beautiful and atmospheric venue features a pair of characterful cinemas, perfect for private cinema hire in London, and ideal for those seeking an accessible venue with bags of charm. Tucked away in the heart of London’s artist quarter, the screening rooms at the Soho Hotel are a fantastic option for those looking for vibrant venues for creative events. 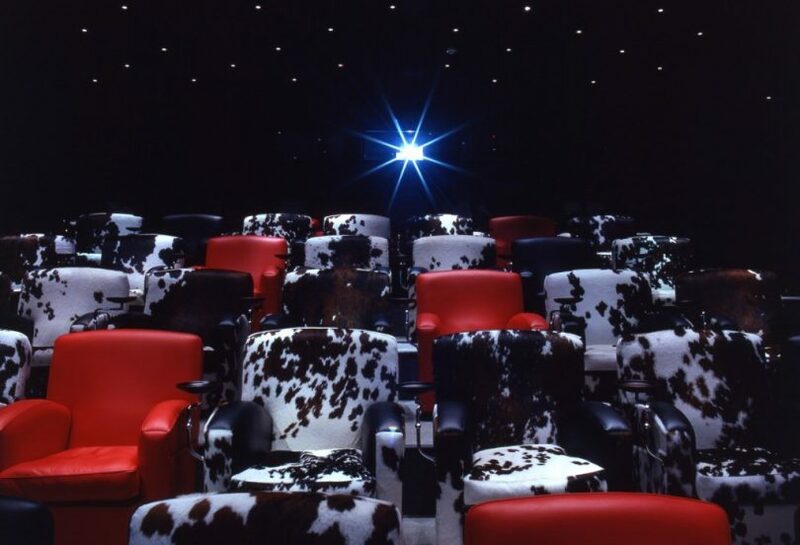 Event managers can choose from the more classic Screening Room 1, which boasts 100 plush red leather seats, or the more eclectic and bizarre Screening Room 2, which features fun cowhide seats and a more intimate atmosphere. What makes it unique: This is a central London cinema with some real history. It opened with a private screening of Jaws in 1975, and ever since has been at the epicentre of the movie world. Situated in the bustling and iconic Piccadilly Circus, this superb cinema will blow your guests away with its beauty, sleek, urban style, and incredibly high quality AV. Guests can sit back and relax in the red velvet seats (many of which have been sponsored by Hollywood legends, including Madonna, George Clooney, Daniel Day-Lewis and more). If you’re looking for a truly world-class cinema, which simply oozes red carpet sophistication, this is the one for you. 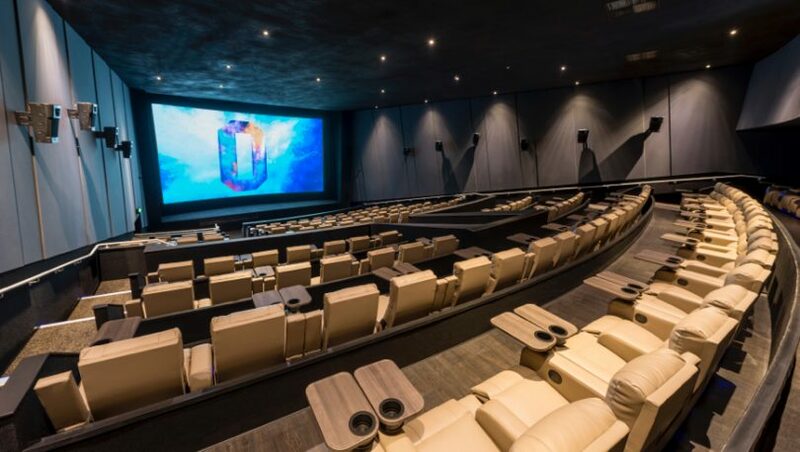 What makes it unique: This high street cinema takes luxury to a whole new level. Your guests will be blown away by the comfort, elegance, and contemporary class of this superb venue! If you’re looking for a cinema which is a perfect blend between the old and the new, the classic and the contemporary, and the futuristic and the timeless, then this really is the one for you. Every seat in this screening room comes with plush upholstery, reclining options, and even a wooden table on which to enjoy snacks, or a chilled glass of wine. The AV setup is – as one might expect – simply out of this world, and the crispness of image and sound is simply unbeaten by any other cinema venue in London. What makes it unique: What doesn’t make Backyard Cinema unique? This awesome immersive viewing project is all about transporting audiences to other worlds, and to take their viewing enjoyment to the next level. It really does need to be seen to be believed! 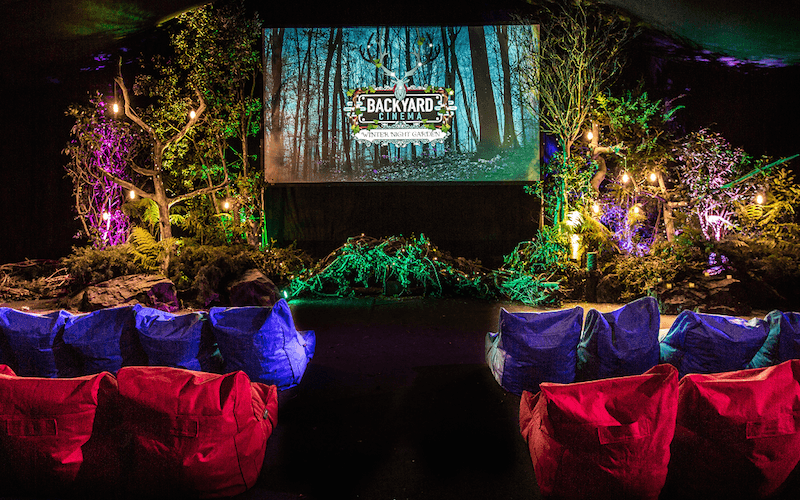 An immersive, theatrical, and otherworldly experience awaits at Backyard Cinema, an incredible project set up in recent years to take movie watching to whole new levels of fun. Using unusual venues, set dressing, weird and wonderful atmospheric tools and even live actors, the team at Backyard Cinema bend over backwards to ensure your viewing goes above and beyond anything you’ve experienced before. London cinemas are as diverse and as fascinating as the city itself, with something out there to suit every taste and every budget. Here at Venueseeker, we love checking out unusual and beautiful venues to add to our listings, and cinemas are always a delight to explore – there’s just so much history and character behind those velvet curtains, and plush armchairs! Whether you’re on the lookout for a private cinema to hire in London, or a completely different type of venue, Venueseeker has you covered. With got the insider knowledge, experience, and skills to ensure you end up with the perfect venue for your event… no matter what your event might be! What could be finer than a night of wine tasting in London? Whether you’re a seasoned pro, or someone who struggles to tell the difference between a Semillon and a Sauvignon Blanc, wine tasting events are always a great way to indulge in some real sophisticated enjoyment. Here at Venueseeker, we love wine tasting London events. It’s a chance to explore a world of flavour, get to know some new wine styles, and share your thoughts on the sensory experiences you’re encountering with friends and colleagues. What’s more, it’s also the perfect chance to explore some of the capital’s most elegant and interesting venues, as no wine tasting in London event could be complete without a venue which really ramps up the atmosphere! From the hip and modern to the old-school and decadent, and from the imposing to the intimate, wine tasting venues come in all shapes and sizes. We’ve picked out no less than nine of our absolute favourite wine tasting London venues for you to peruse in this article, and we have no doubt that you’ll be able to find one here which is absolutely perfect for your needs. What makes it unique: The Wine Library is one of Clerkenwell London’s coolest rooms, designed specifically for oenological flights of fancy in the most dynamic and trendy surroundings. 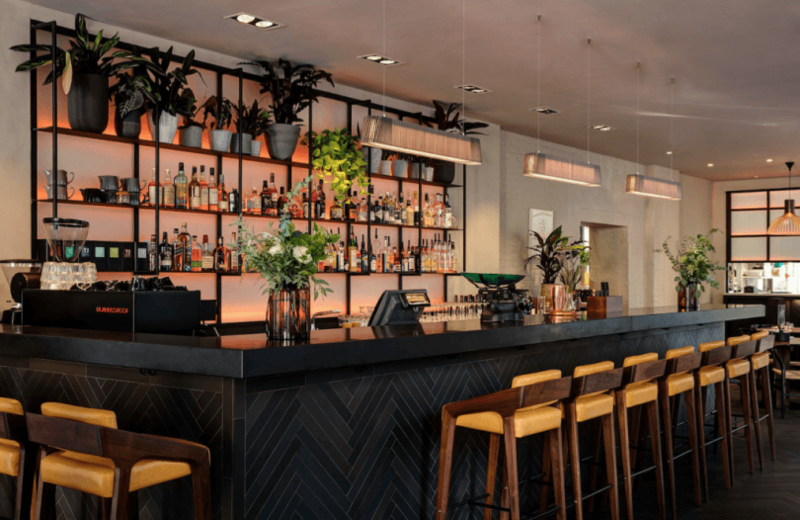 Since its launch a few years ago, Clerkenwell London has entranced its visitors with its mix of high fashion, on-trend design, and a truly flawless level of service. Whether you’re seeking a fun and funky night out with friends, colleagues, or partners, or looking for laid-back sophistication in one of its many events spaces, this venue really does have it all. The Wine Library at Clerkenwell London is a real draw – the ideal space in which to enjoy a few bottles, explore different flavours, and enjoy the incredible atmosphere that this venue offers. What makes it unique: When it comes to true London elegance, there’s nowhere quite like Mayfair. This beautiful space presents everything you could wish for from a venue in this opulent corner of town, and is sure to delight all the senses with its style, grace, and attention to detail. 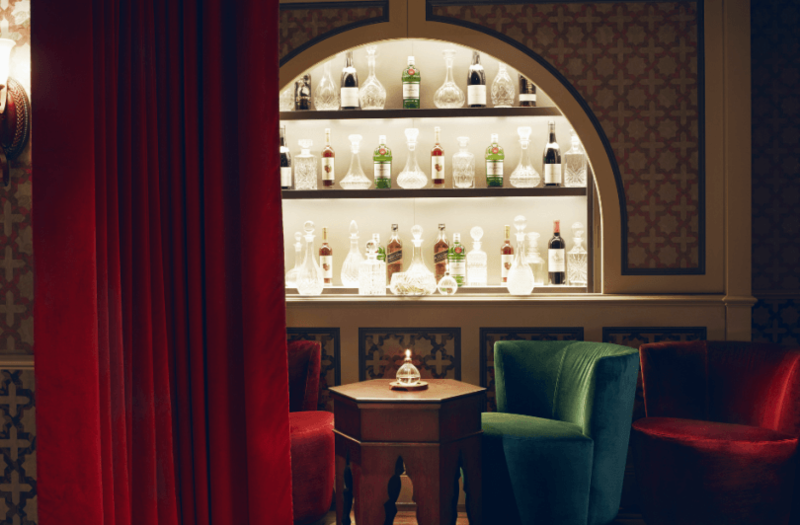 Corrigan’s Mayfair is the epitome of London elegance. With its intimate rooms, decked out in flawless vintage style, it’s the perfect place to host a wine evening which well and truly ticks all the boxes when it comes to exclusivity and glamour. With impressive AV fittings, private rooms for more intimate wine flights, and in-house sommeliers who can find the perfect bottles for your tasting, it’s a stunning venue which is sure to impress. What makes it unique: Well, it’s difficult to get more unique than WC Clapham. This gorgeous vintage venue is housed in a converted Edwardian water closet beneath Clapham tube station, which makes for a truly memorable experience any time of year! It’s impossible not to be impressed by WC Clapham, and it goes to show that beauty and elegance can really be found in the most unexpected of places. There’s a ‘best-kept secret’ vibe about the place, which adds to the ambience of exclusivity and secretive delight… utterly perfect for wine tasting events that are sure to stick in the memory! The delightfully retro bar area has space for forty guests, and features plenty of period furnishings and details. What makes it unique: The Barrel Project is a stunning venue, featuring towers of the kind of wine barrels you’d normally have to travel to some of France’s premier wine regions to see. Beautiful, unusual, and superbly ambient, it’s a genuinely impressive place for a wine tasting. 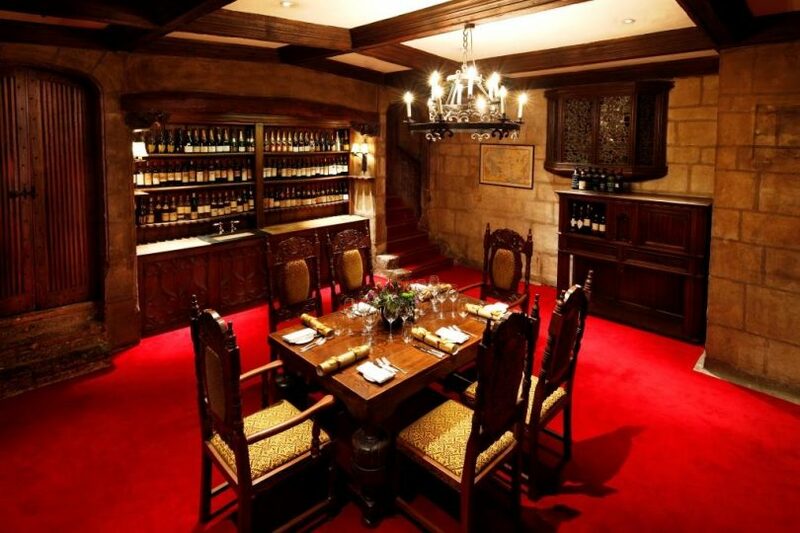 With its incredible decor and unique atmosphere, The Barrel Project is a brilliantly suited venue for grandiose wine tastings in a truly awe-inspiring setting. 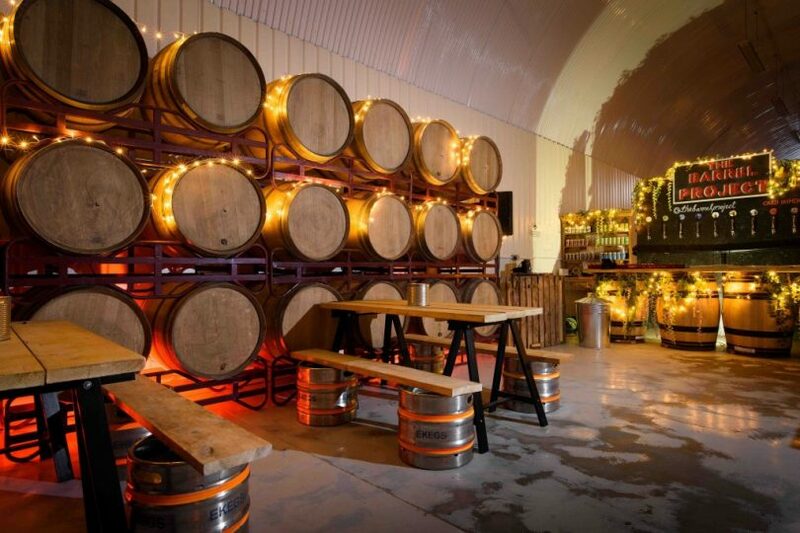 This railway arch venue boasts 8ft high walls of Burgundy and Bordeaux barrels, and while each one may be now filled with beer, you cannot deny the charm of sense of style that this beautiful venue possesses. What’s more, it’s in the heart of Bermondsey near central London, making this venue fantastically accessible, too! What makes it unique: With its gorgeous views of Tower Bridge, and incredible level of service, this famous restaurant has become hugely popular with those looking to host private wine tastings in London. A decidedly French-themed venue with a truly stunning view of London’s most iconic landmark, Le Pont de la Tour offers a beautifully contradictory setting for a wine tasting event. Elegant and grand, yet laid back and urbane, it’s one of the capital’s most respected and revered restaurants and events venues. 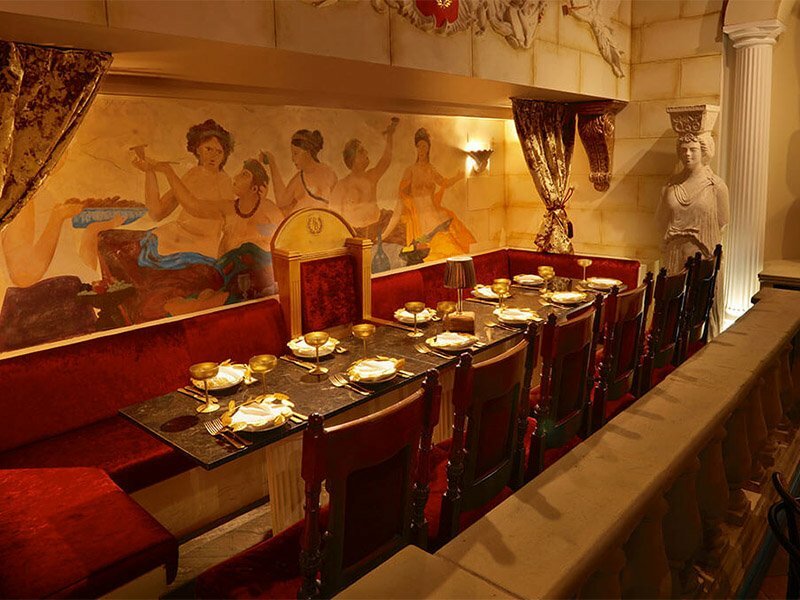 Guests will benefit from glorious decor, sumptuous furnishings, and the expertise of the staff which is second to none. For a classic wine tasting experience, it’s hard to think of any venue more suited to the task. What makes it unique: Want to host a wine tasting in a beautiful yet relaxed, elegant yet avant-garde setting? 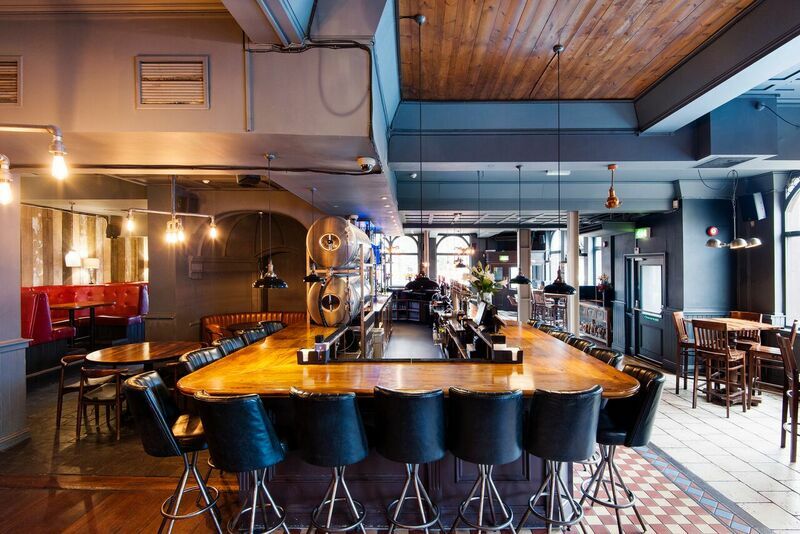 Martello Hall really impresses with its exposed brickwork, stunning furnishings, and cosy booths in which to relax. With a cool, East London vibe, with a cosy, comfortable, and laid-back approach, Martello Hall fully deserves its reputation as one of London’s most sought-after venues with wine tastings. The venue itself is highly flexible; want a DJ and a dancefloor once your wine tasting is finished? Not a problem. Need AV equipment to give your evening a multisensory edge? Martello Hall has you covered. Open daily, and with a dedicated team who’ll take your event to new heights, it’s no wonder this venue is in such demand. What makes it unique: Buddha Bar is a genuinely legendary venue, which has been imitated the world over, but never bettered. With its wild and psychedelic interiors, amazing private rooms, and incredible, unique, and memorable vibe, it’s a venue quite unlike any other. 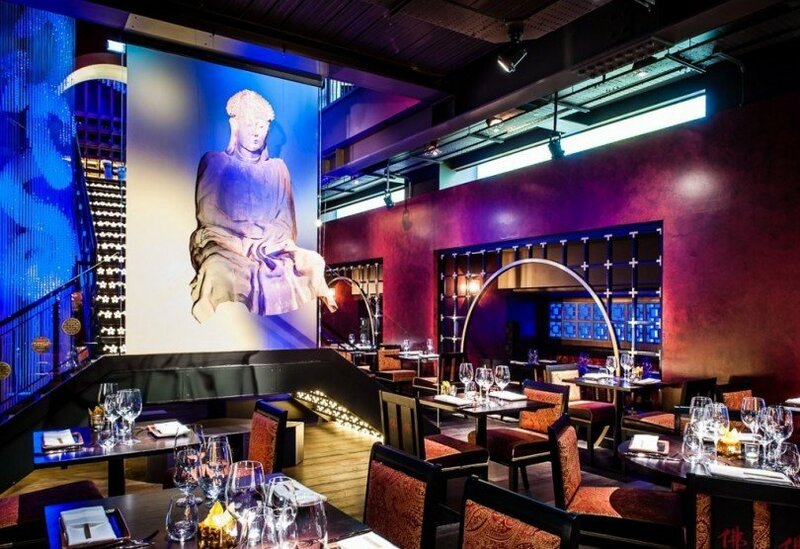 If you’re looking to really blow away your guests with a wine tasting which goes above and beyond the ordinary, the Buddha Bar might well be the venue for you. This events space has gone down in history for its dedication to taking decoration and thematic elements to new heights, and it combines high art with glamour, and flawless hospitality with jaw-dropping decorative features. What makes it unique: A slice of Italian heaven right here in London, packed full of incredible food, wine, and the best of Italian service and style. A beautiful blend of the old and new, and a dedication for bringing the best of Italian hospitality to London is what La Tagliata does best. When it comes to wine tasting events, this beautiful venue has a space downstairs which would be ideal for an intimate evening of wine-based delights, and which is fantastically atmospheric! What makes it unique: Fortnum & Mason is a brand respected worldwide for its dedication to excellence, and the upholding of true English sophistication. The venue options here embody these values perfectly, and make for a genuinely special evening. If you’re on the lookout for a venue which really shows off the best of London glamour, then they don’t come much more elegant or exclusive than the private rooms of Fortnum & Mason. With a wide range of room options to choose from, there’s everything here for wine tasting events of any size, and each and every space is just as sophisticated as you’d imagine. It isn’t difficult to see why London venues are so popular for wine tastings. Whether you want something modern and trendy, or old-school and sophisticated, there is a real wealth of options to choose from. At Venueseeker, we just love uncovering those hidden gems and iconic locations for our clients, and over the years, we’ve come to know even the most hidden corners of the capital like the back of our hand! If you’re looking for something special for a wine tasting, or need the perfect venue for the perfect event, Venueseeker is your one-stop shop for event venue success. Want to find out more? Get in touch today, and check out what we have to offer! When it comes to truly memorable cocktail parties, it’s hard to think of a better city on earth than London. Cocktail party events in London are genuinely special and exciting affairs; you’ve got the buzz of the big city all around you, a wealth of amazing venues to choose from, and some of the best mixologists, movers and shakers, and cocktail wizards in the world at your disposal. 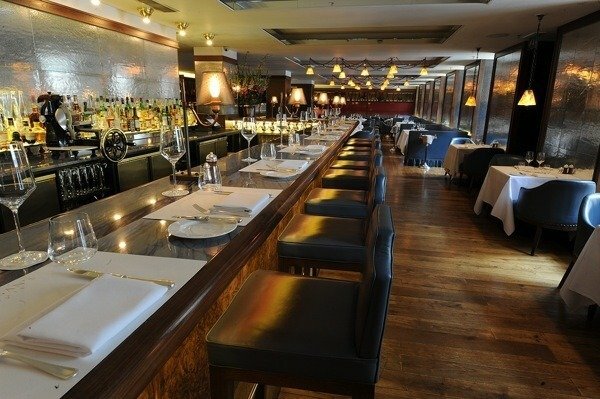 Whether you’re planning an elegant and sophisticated evening of cocktail party fun, or fancy something a bit wilder and more on the cutting edge of fashion, Venueseeker has the perfect London cocktail party venue for you. 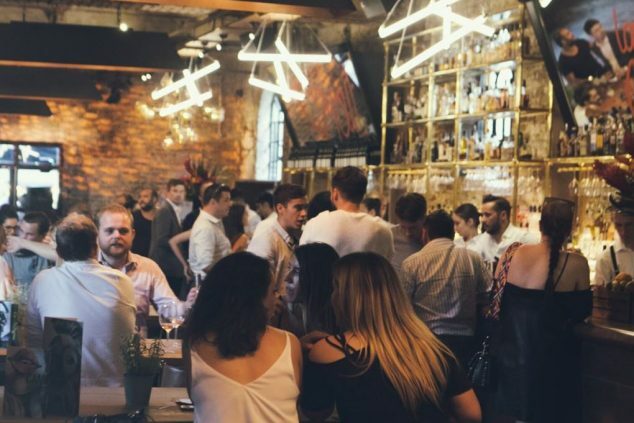 We simply adore looking for events spaces which are perfect for drinks nights, and not least because London’s nightlife scene right now is in fantastic health, with new venues popping up all the time, each of which are maintaining the dynamic vibe our capital is famed for across the globe. As always, we’ve put in the hard work so you don’t have to, and have sourced some utterly brilliant cocktail party London venues for you to check out. We’ve gone for the unusual, the outlandish, the decadent, and the grandiose… because when it comes to cocktail evenings, too much is rarely enough! Check out this list of awe-inspiring events spaces, and find something totally memorable and unique for your next big night! What makes it unique: They don’t come much more unusual than Alcotraz. 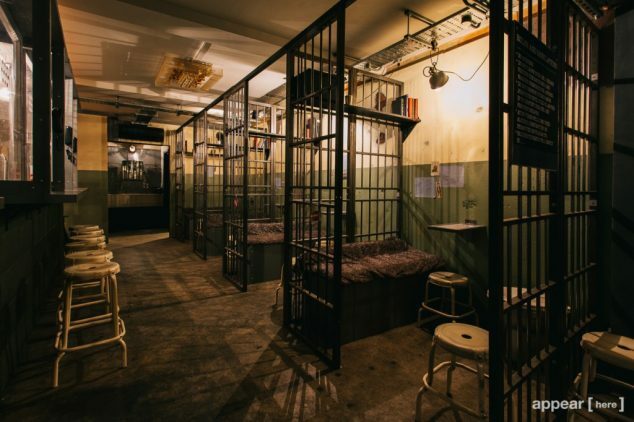 This prison-themed cocktail bar puts you in an immersive theatrical experience, which is quite unlike anything you will have come across before! 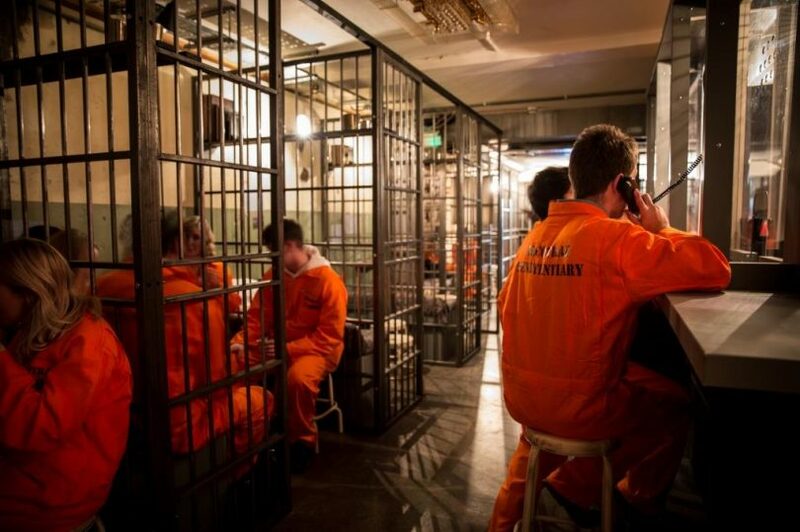 Inspired by Hollywood movies and the world-famous island prison in San Francisco Bay, Alcotraz is the latest example of a genuinely exciting new trend in London nightlife and events venues: a theatrical experience which doubles as a cocktail bar and events space. Entering Alcotraz is to leave the ordinary world behind, and walk into an immersive realm where anything seems possible! 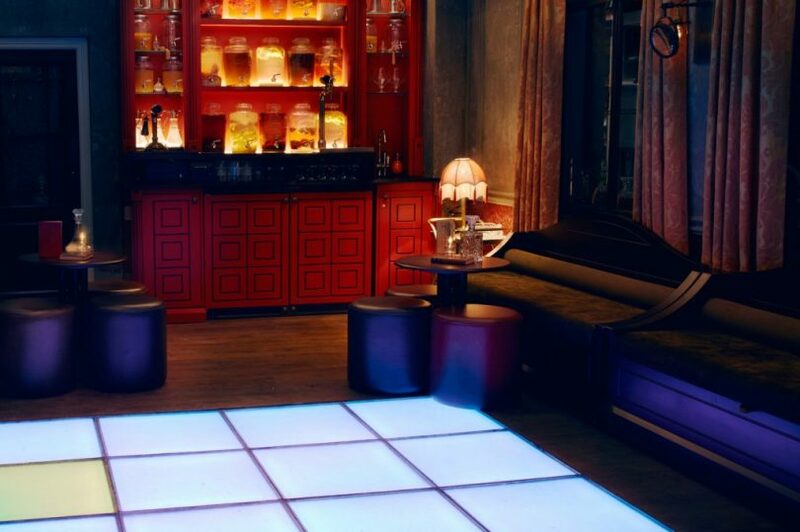 From orange jumpsuits to themed ‘cells’, this bar really takes its theme to new and epic heights, and there’s little doubt that an evening spent in this weird-and-wonderful place is sure to stay in your guests’ memories forever! What makes it unique: Archer Street is one of the coolest new venues in Soho, which combines Alpine chic with a decidedly decadent vibe. Perfect for cocktail parties which combine the retro with the contemporary, and the vintage with the avant-garde. There’s little doubt that Archer Street has been one of the success stories of the past couple of years in Soho. 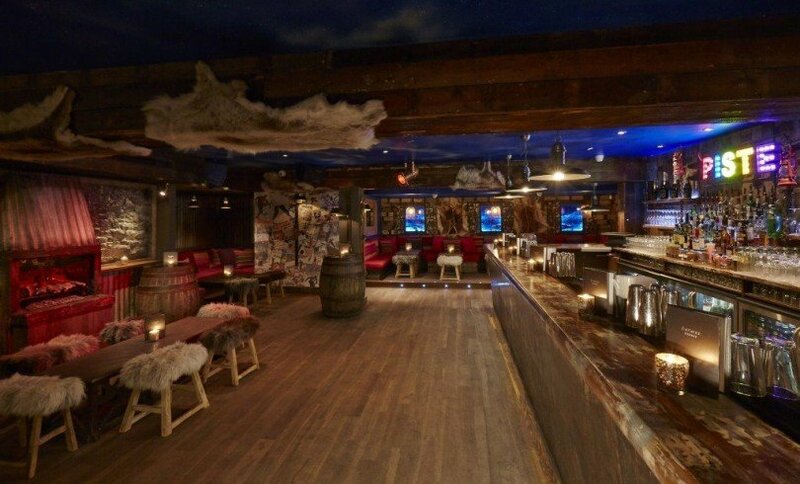 The work which the proprietors put into their project has more than paid off, and it’s clear that with its blend of seductive, modern nightclub style, and cosy après-ski vibes, it offers something truly unique and special for central London. 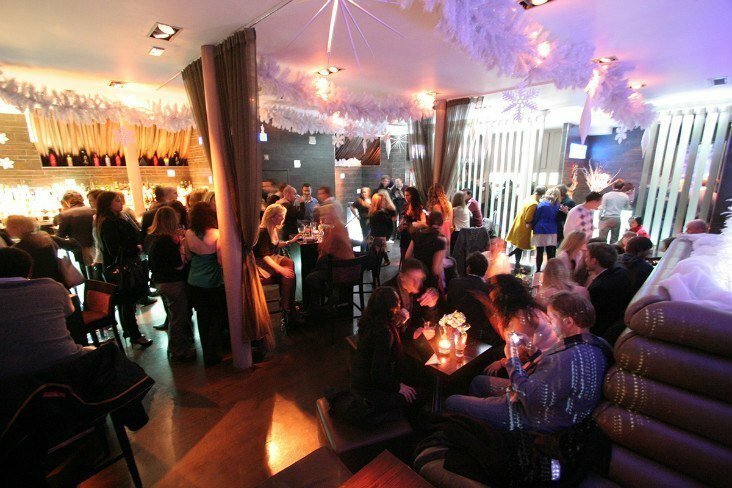 As for cocktail parties, any evening spent in Archer Street is sure to be filled with fun and wonder, as it treads the ideal line between sophistication and silliness, and brings a real sense of retro charm to any event. 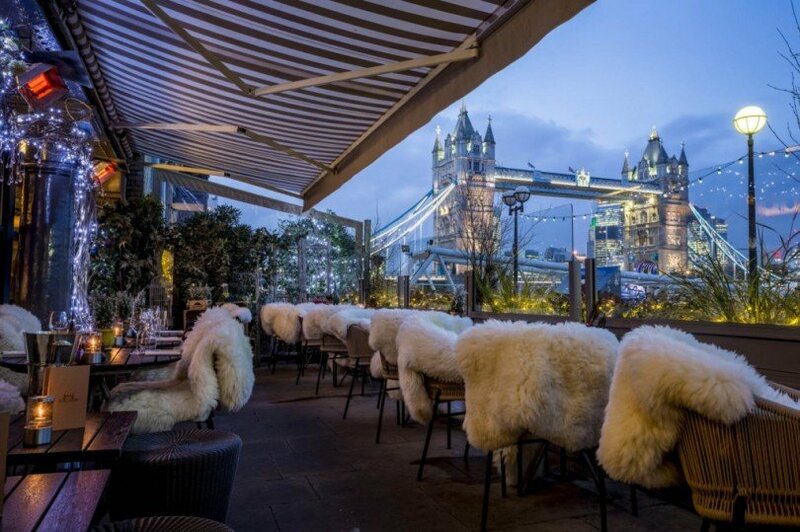 What makes it unique: If you’re looking for cocktail party venues in London which are bound to leave your guests breathless with wonder, then the stunning views from Savage Garden tick that box very nicely indeed. At twelve storeys above street level, you really feel on top of the world as you settle down among dazzlingly modern furnishings! This venue has quickly become one of the most sought-after in London when it comes to quality cocktail parties, and it isn’t difficult to see why. 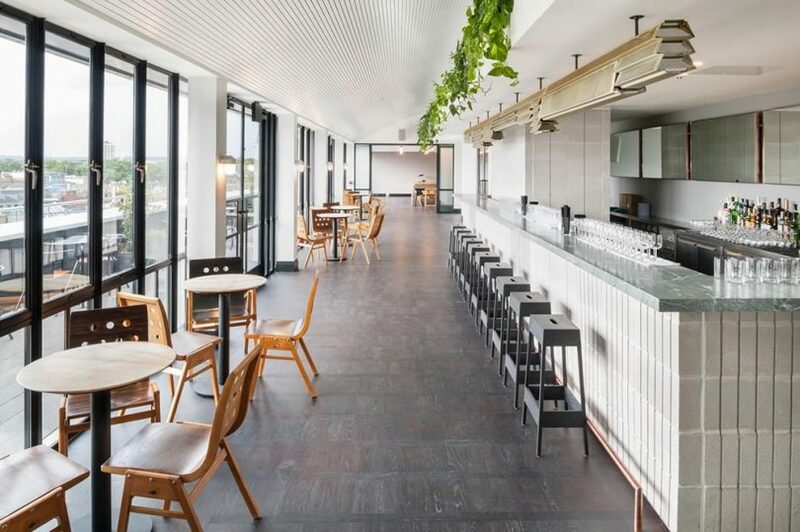 With its panoramic views of the iconic London skyline, and 360° vistas which take in the Tower of London, The Shard, The Gherkin, and St. Pauls, this venue is the perfect spot from which to watch the sun set over London, and take in the majesty of the capital. It’s not all about the view, though – Savage Garden boasts a pair of beautiful terraces, private dining areas, and even a retractable roof in case the weather’s not on your side. Perfect! What makes it unique: Mr. Fogg’s tavern is a truly bizarre yet wonderful addition to the London cocktail bar scene, and one which certainly won’t be forgotten in a hurry. With its ‘upstairs, downstairs’ theme, and long list of strange and fantastical details, it’s a real delight to explore. This Victorian-inspired bar and events space is a joy to wander around, as it’s absolutely packed with curiosa and period details. Tapping into the highly trendy ‘steampunk’ vibe, it’s a cabinet of wonders which offers plenty of surprises and sensory delights. 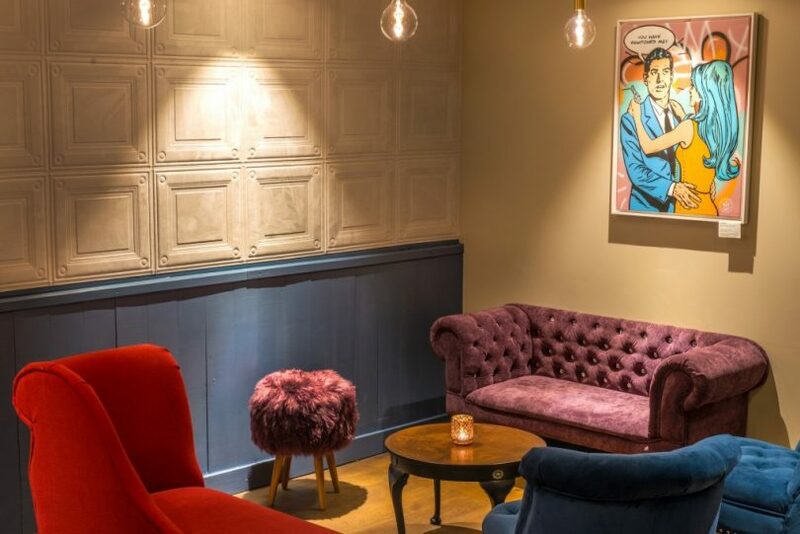 With a vintage tavern on the ground floor, and a decadent gin parlour upstairs, it’s a venue of two distinct halves, meaning your cocktail party can opt for either elegant slumming, old school sophistication… or a brilliantly contradictory combination of the two. What makes it unique: Colourful, elegant, and more than a little bohemian, your guests will be wowed by this stunning townhouse setting. Featuring incredible furnishings and a atmosphere that’s perfect for laid-back, impressive, and unforgettable cocktail events. With its dandyish charm and air of utter sophistication, it’s hard to think of a better London venue for drinking some classic English cocktails than Six Storeys. Based in the beating heart of Soho Square, this gorgeously laid out six-storey London townhouse is sure to make a massive impact. Featuring interiors designed by the prestigious Russell Sage Studios, every inch of this venue is a treat for all the senses, and it’s a gem of a location for all your cocktail party needs. What makes it unique: Ever tried bowling while at a cocktail party? All Star Lanes makes this possible, and much, much more besides. 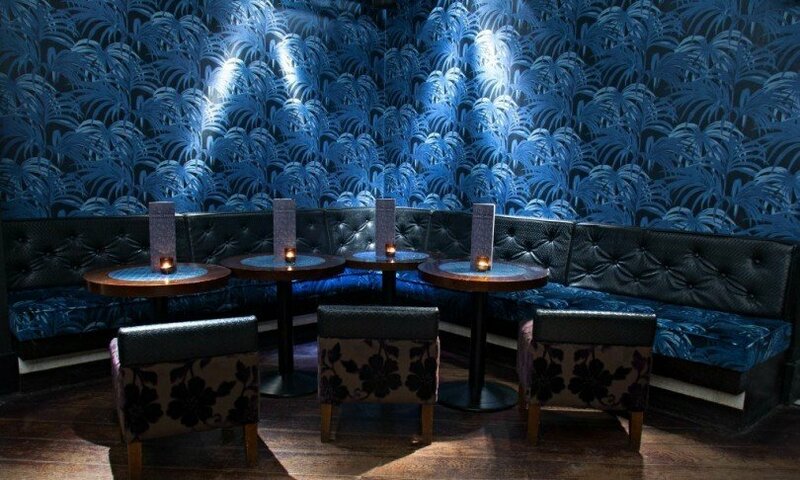 With its Hollywood-inspired sense of glamour, and cool, retro, laid back vibe, it’s one of the capital’s most unique and enjoyable venues for a chilled cocktail party. All Star Lanes Brick Lane is the perfect venue for anyone who wants to add a bit of a twist to their cocktail parties. There’s something gloriously retro and Americana about bowling – it puts us in mind of everything from Elvis movies to The Big Lebowski – and having the option to score a few strikes while sipping a perfectly mixed White Russian is more than we can resist. Be transported to decades gone by with the amazing decor of this unique venue, and enjoy yourself in a venue which offers a truly fun, light-hearted, rock ‘n’ roll, immersive experience. What makes it unique: Situated in the heart of Islington, the Dead Doll’s House is a quirky, fun, yet elegant venue perfect for vintage-style cocktail parties. With its gothic-inspired furnishings and vintage sense of style, this venue sits somewhere between classic London chic and a Tim Burton movie. 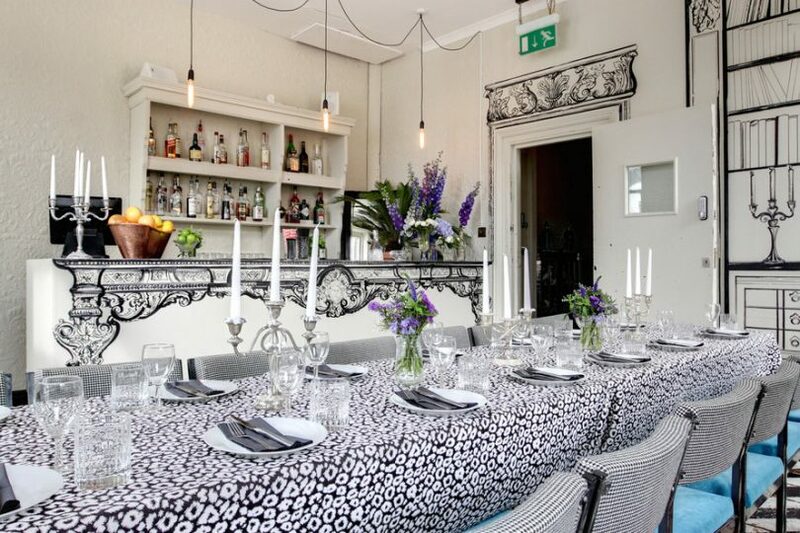 That’s by no means a criticism – this gorgeous three-storey Victorian townhouse is an absolute joy to explore, and makes for a fantastically unique venue in which to hold a truly memorable cocktail party. As we’ve seen, there’s no shortage of brilliantly inventive and unusual venues in London at which to hold a memorable cocktail evening, and plenty of classically sophisticated ones to choose from, too. At Venueseeker, we’re never less than impressed by the imagination and creative design of London’s events spaces, and each year seems to bring new treats to explore and enjoy. With a massive range of beautiful, stylish, and unique venues to choose from, we take great pride in helping our clients finding absolute perfection when it comes to event spaces. If you’re seeking something special for your next big night, why not give us a call? We’re confident we can find you your perfect match! Looking for an extraordinary venue for your next conference with Venueseeker? 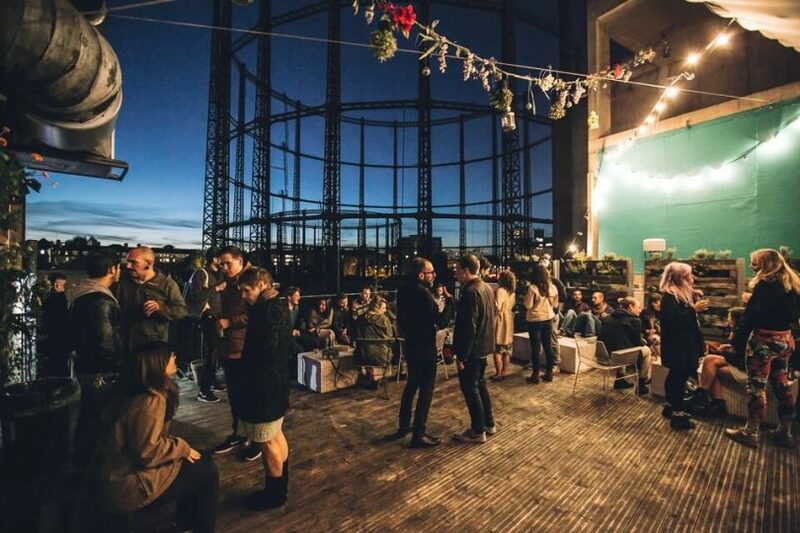 Then here are five fantastic spaces in London! This stunning parlour, designed by the talented Russel Sage Studios, is an opulent geometric styled gem, hidden within the central city. The Grade II listed Victorian characteristics of the original building combined with old Turkish motifs, add to the exclusivity of this unique and unusual venue. It is novel, yet totally customisable to cater to any event brief, including being an interesting choice as a London conference venue. It has the capacity to host 150 standing and 90 seated, and is equipped with cutting-edge technology for all your presentation requirements. 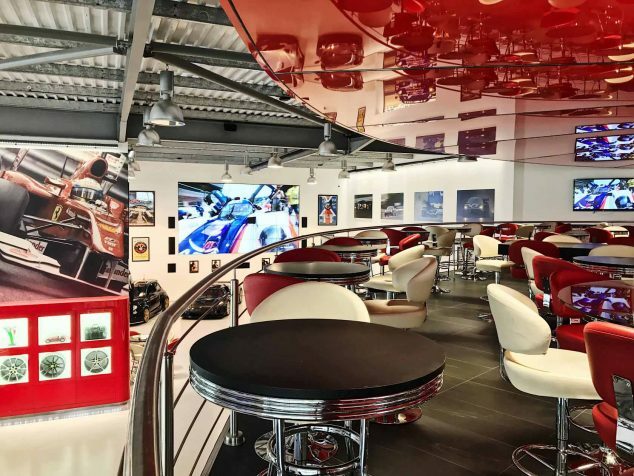 This huge 27,000 square foot showroom in Southfields near Wandsworth is a car lover’s paradise, with a showroom, three events spaces, a boardroom and a mezzanine. This flexible London conference venue can house up to 500 guests, and is home to dozens of luxurious classic and performance cars which can be positioned as you wish. This venue has made it on to our unusual conference venues list because it is sure to give your conference a bit of edge. Try something different by hiring a luxury boat on the Thames as your unusual conference venue in London. The Westminster Boating Base, with excellent views of Battersea Power Station, has a full-length covered balcony and floor-to-ceiling windows for maximum natural light. This venue can house up to 150 seated guests, so it’s well suited to smaller conferences. Take your guests to the mysterious and unusual Magic Circle near London Euston station and prepare to be amazed. See the incredible ‘floating staircase’, and watch sensational magic shows from some of the world’s most distinguished magicians. The Magic Circle includes four spectacular rooms with magical exhibits and enough space to accommodate between 40 and 80 guests for a seated reception. Contemporary and unusual, White Loft at the Lumiere London is a blank canvas, making it an ideal London conference venue. The a-frame roof and industrial style architecture combined with the bright and light interior make this venue flexible and unique. The space itself has the capacity to host 100 standing and 80 seated guests. Then please get in touch with Venueseeker today by email or phone or fill in our online enquiry form and we’ll get back to you as soon as possible. 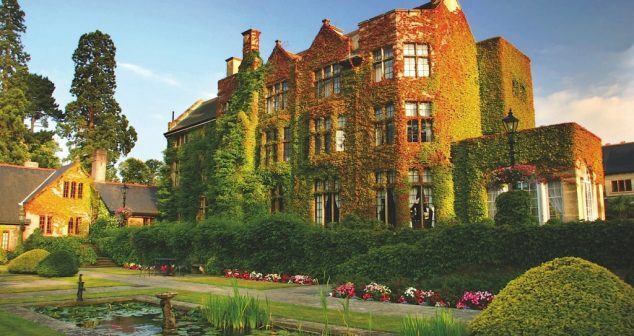 Pennyhill Park is an elegant hotel and spa situated outside of Ascot, just a 20 minute drive from Windsor and an hour from London. The hotel itself is nestled down a long drive in the picturesque woodlands of Surrey, making it a popular choice to host weddings. The venue boasts 123 acres of parkland, a Michelin starred restaurant and brasserie, a spa – featuring 8 indoor and outdoor pools, a fitness center, a tennis court and a 9-hole golf course. The hotel was formerly a manor house which dates back to the 1800s. The ivy-clad external walls tower over the outdoor spa facilities which includes a swimming pool and Jacuzzi. The inside of the hotel is a maze of nooks and crannies adding to the rustic feel of the former manor. Another interesting design aspect of the hotel is that no two rooms are the same. This element further highlights the exclusivity of the hotel, as each experience is unique. The rooms and suites exude charm and elegance, with a mixture of traditional, contemporary and unique styling themes. Pennyhill Park is the perfect place to escape the hustle and bustle of the city. The exquisite country setting offers the serenity of sheer indulgence and relaxation. The retreat is so renowned that even English Rugby team live and train on-site during the season. 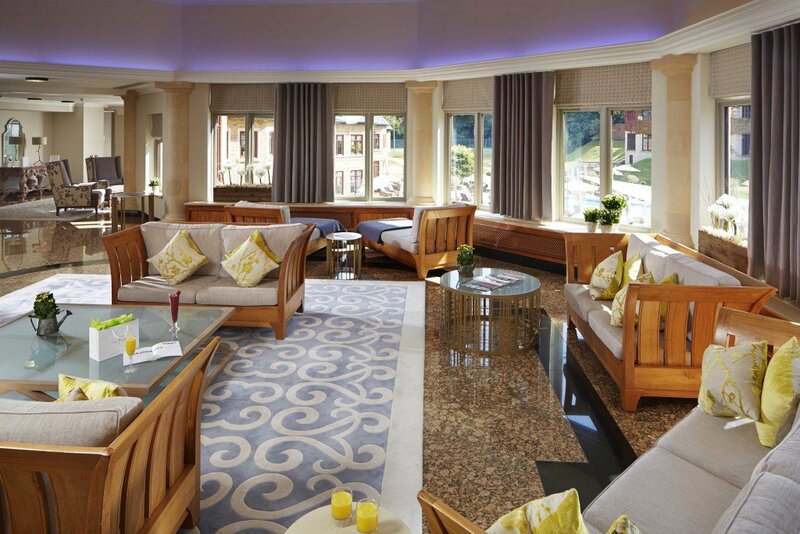 From the stylish décor, outstanding facilities, to the impeccable service, Pennyhill Park is an incredible place to stay. After being escorted to our rooms, we were able to take a look around the stunning 123 acre hotel and its grounds. Before dinner, we sat on the terrace enjoying their finest cocktails. Their long list of cocktails provided us with thrilling choices. My favourite was the ‘Millionaires Mojito’ which had Elements 8 Gold Rum, fresh lime, simple syrup, mint leaves finished with Rose Champagne – absolutely delicious! We then moved on to dine in the hotels stylish and vibrant Brasserie, which has been awarded two AA Rosettes. We were served an exquisite three course meal, a few options included smoked mackerel pate, fillet of beef carpaccio, stuffed pork lion and seared tuna loin. 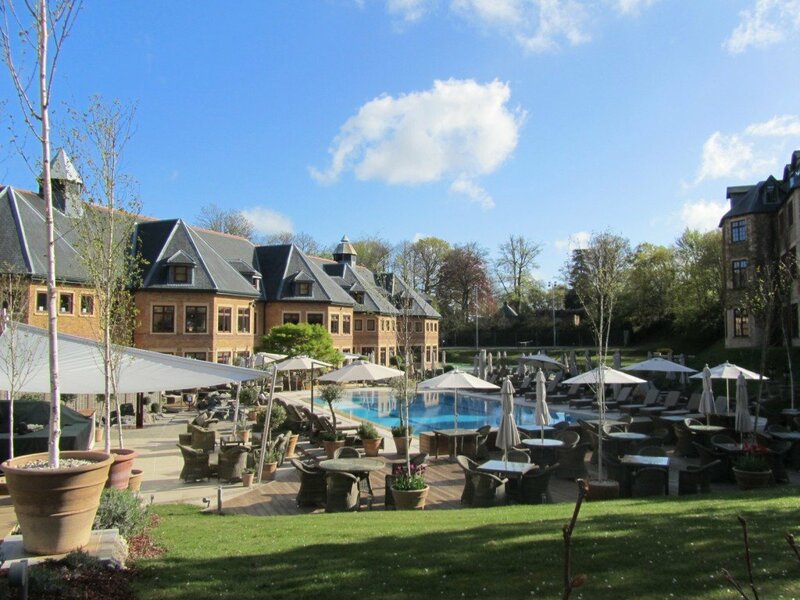 Although we were extremely lucky with the 25 degrees weather, we had, without a doubt, an extremely pleasurable and relaxing experience – I would highly recommend Pennyhill Park to anyone looking for a luxurious and serene break! Phew – it’s been a long, hot summer, and if the weatherman can be trusted, there is plenty more warm weather on its way. While most of us have been making the most of the heat (especially here in London where any break from grey skies is taken full advantage of) those looking to hold business meetings, small corporate events, and other such gatherings have been heading underground to the cool, calm, and on-trend world of London’s basement bars. It’s hard not to love a great basement bar in London. These quirky, eccentric, subterranean drinking holes have more than a hint of prohibition-era cool about them; they put us in mind of speakeasies, of private clubs, and of dens where those in the know gather to talk about the important affairs of the day. They’re also refreshingly unique; while above ground, you’ll find chain pubs and franchises aplenty, beneath the surface each and every one of the capital’s basement bars has its own identity, its own message, and its own specific vibe. Here at Venueseeker, we like to think we’re on top of all the latest trends in London, especially when it comes to finding the hottest new places to hold your next event. 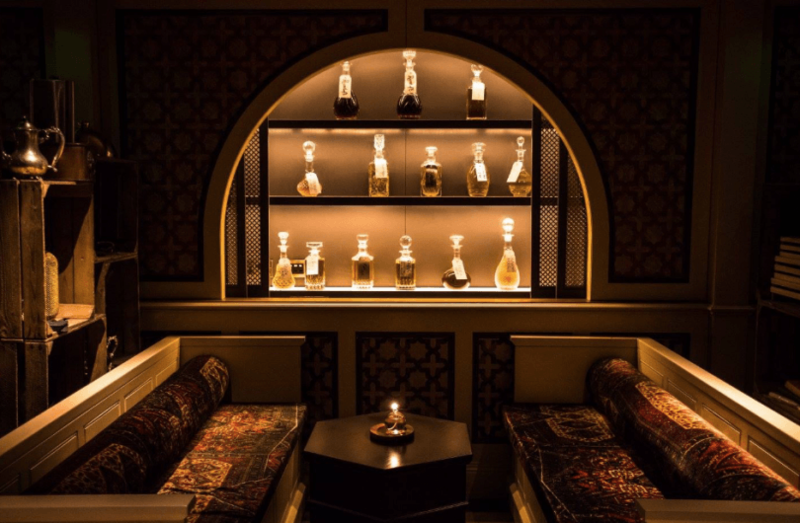 Basement bars are the kind of venues which really get us excited; they’re brilliantly creative, have a real visual impact, and show off the ever-changing landscape of London’s venue scene. We’ve gathered a handful of our current favourites for you to browse through… and they’re all available for you to hire next time you need to take a client somewhere they’ll simply never forget! What makes it unique: Cahoots isn’t just an underground bar, it’s a bar in The London Underground. Set in an abandoned tube station, it’s packed full of period details and a decidedly kooky, post-war vibe that is sure to make a massive impact on your guests! 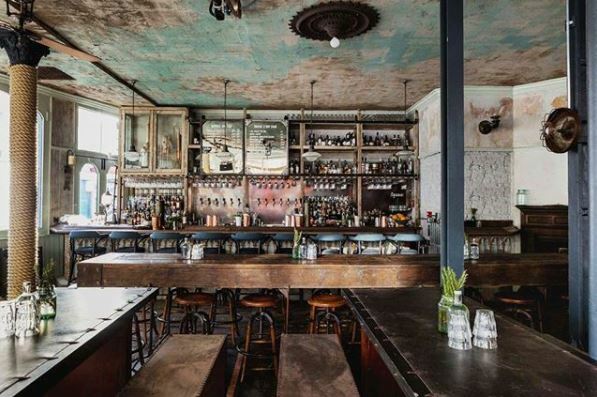 Cahoots is a brilliant example of something London does so very well: taking forgotten, abandoned spaces, and transforming them into something truly memorable and wonderful. With its quaint 1940s vibe, seats fashioned from a train carriage, and mountains of charm, Cahoots is a time capsule from an age of tea dances and blitz spirit, and is guaranteed to steal your heart. What makes it unique: A better question would be ‘what doesn’t make WC Clapham unique?’ – this converted public convenience dates back a hundred years, and is surely one of the capital’s quirkiest basement bars imaginable. 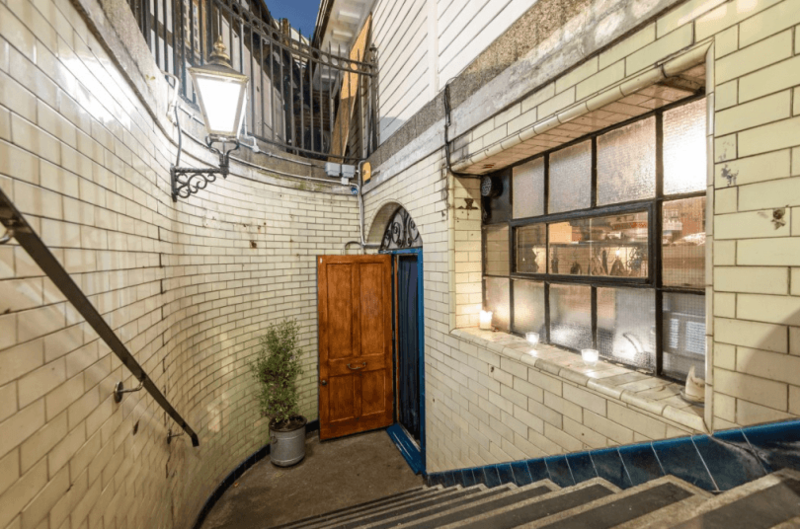 Imagine walking down the elegantly tiled staircase of Clapham Common tube station, to a subterranean former water closet… only to find one of the most exciting, exclusive, and wonderfully eccentric basement bars in London below! This converted toilet made national headlines upon its opening, and it continues to wow visitors with the incredible use of intimate space and period features today. What makes it unique: arty, funky, and indescribably cool, Bunga Bunga is what happens when wild abandon, a sense of hedonistic delight, and effortless London sophistication combine in a basement bar. Secretive, stylish, and a whole lot of fun, it really does need to be seen to be believed! The term most commonly used to describe the latest incarnation of Bunga Bunga is ‘jaw-dropping’. It’s no overstatement – it really is quite difficult not to gasp in amazement upon entering this secretive establishment, hidden away beneath the ever-popular Meat Locker. The space is hugely impressive; it boasts a number of nooks and crannies in which to gossip and from where you can enjoy the notorious variety performances, and the food and drink on offer is simply to die for. Not to be missed! What makes it unique: Sitting beneath the cool and trendy Ace Hotel in ever-fashionable Shoreditch, this brilliant basement bar has exactly the atmosphere you need should you wish to show off the urban glamour of East London. 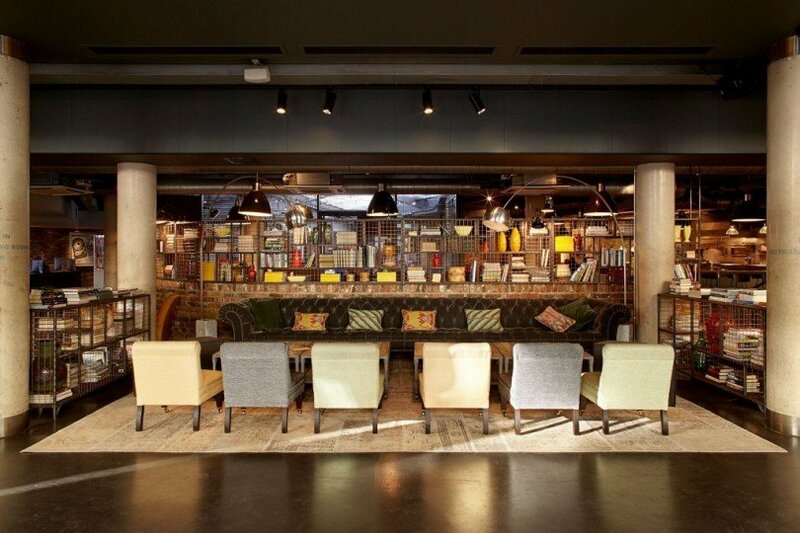 Miranda at Ace Hotel is a hidden treasure, situated beneath the gorgeously towering Ace Hotel in Shoreditch. 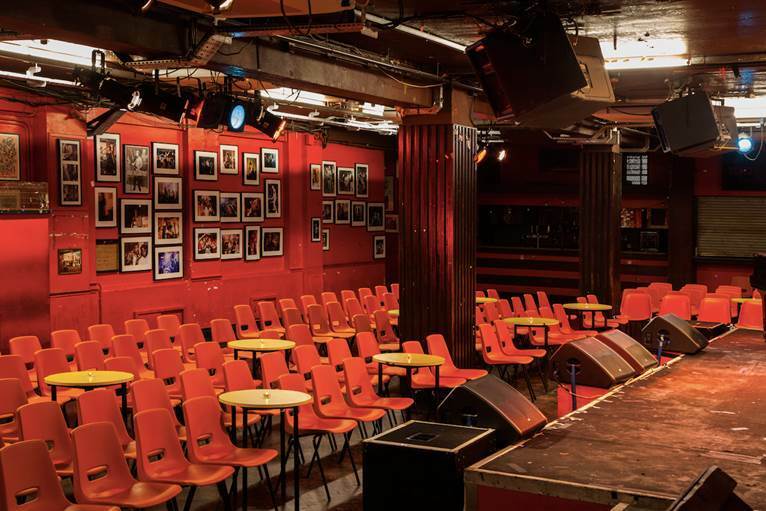 Since opening, it has gained a powerful reputation as a hotspot for London’s best underground entertainment; from live music to comedy, and from games nights to cabaret. Now available for private functions, holding an event in this fantastically ambient basement space is sure to capture a bit of the magic and dynamism of the streets above. What makes it unique: the design team behind St. Paul’s cocktail bar, Patch, have really outdone themselves when it comes to producing a truly fascinating, elegant, and exclusive bar in which to spend time. Beautiful, sophisticated, and in the very heart of London’s most attractive location, it’s a gem of a venue and one which must be seen to be believed. Patch prides itself on its versatility and functionality, and with its wide array of function rooms and spaces, there’s not a lot you couldn’t achieve should you decide to hire this venue. It’s an uber-cool basement-style bar, modelled on the kind of pop-up establishments for which Shoreditch has become such a cultural hub. 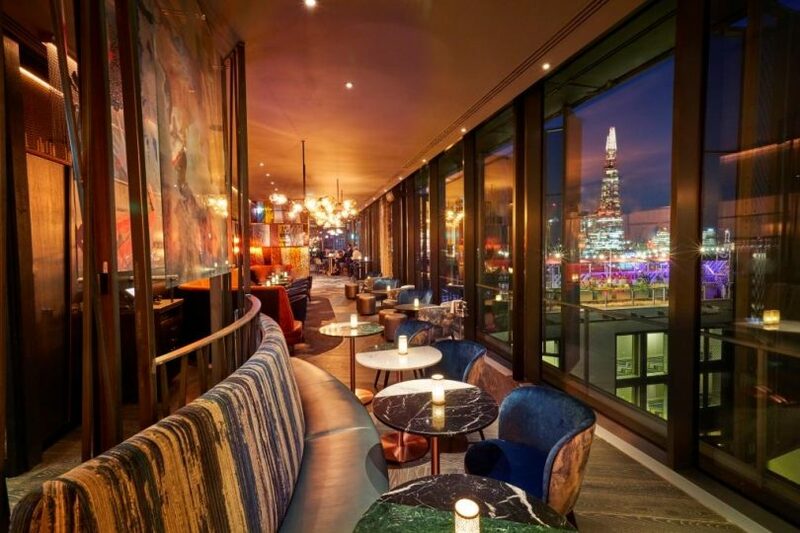 However, it dials the elegance up a notch, and offers its visitors a gorgeously exclusive experience based around striking designs, superb cocktails, and a truly winning location. What makes it unique: The Victorian Bath House is a jewel of a venue, bedecked in sheer opulence and demonstrating some of the most impressive interior design in the city. If you’re looking for a versatile London venue which will leave your guests open-mouthed, this is surely the one to opt for. With its imperial and oriental splendour, it’s impossible not to be utterly impressed by the sheer beauty and wonder on show at the Victorian Bath House. It’s a venue of many facets – on the one hand, it’s a stunning party space, tucked away from the winding streets and capable of filling your nights with fun and frolics. On the other, it’s almost something of a sanctuary; tranquil, decadent, and perfect for those events which require the ‘wow factor’ in abundance. Utterly captivating, highly customisable, and featuring everything you could need for an event to never forget, this venue is sure to set your imagination alight! What makes it unique: The Cuckoo Club is surely one of London’s hottest underground venues right now. Bespoke, boutique, and utterly chic in every sense, this venue is absolutely stunning from the very first moment through to the last. 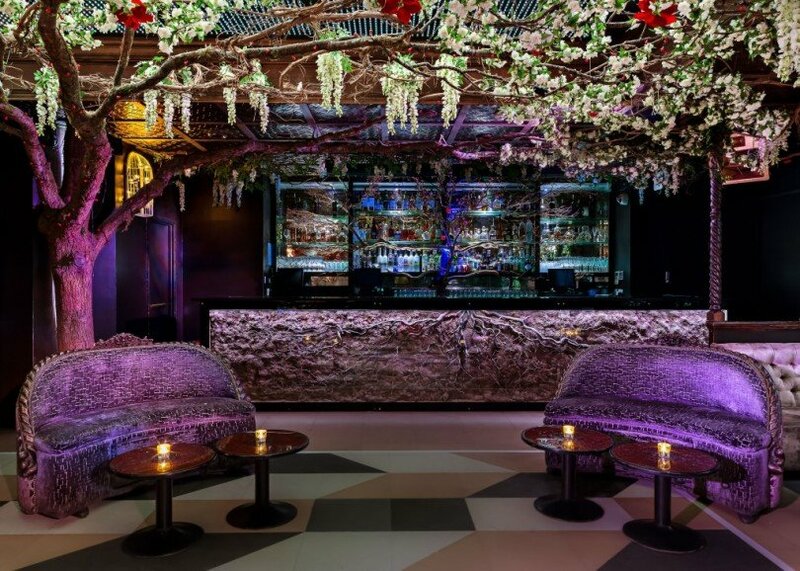 If you’re on the lookout for a London party venue quite unlike any other, then the ultra-elegant basement bar vibe offered by the Cuckoo Club simply cannot be missed. The designers of this venue clearly left no stone unturned when it came to making the Cuckoo Club utterly unique, as every single inch of the space offers something to look at, and demonstrates the vision of those behind it all. With DJ booths, dancefloors, private rooms, AV equipment and much, much more, this venue really does tick every box… and then some! We all know London is a truly cool and energetic city, where new trends emerge before taking on the rest of the world. The basement bars of the capital are a great example of this – often using old spaces to create something really new, exciting, and unique. 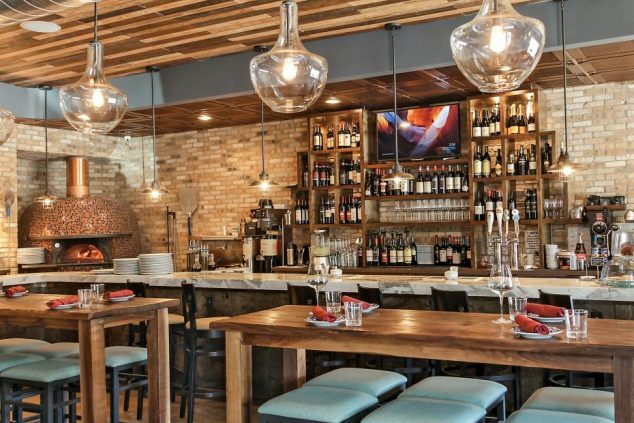 This spirit of reinvention and imagination is something we here at Venueseeker particularly love, and we absolutely adore checking out the latest basement bars for our long list of satisfied clients. 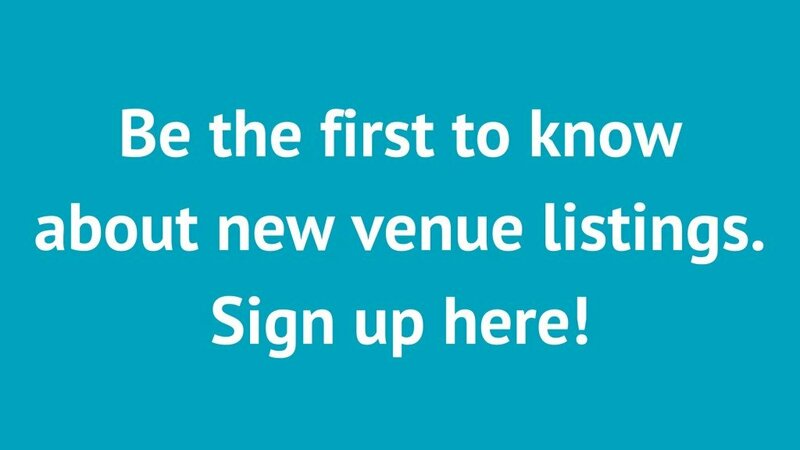 If you’d like to find out more about the types of London venues that might be perfect for your next event, or want to discover more about what we do at Venueseeker, we’d love to hear from you soon! Here at Venueseeker, we’re always on the lookout for those wonderfully versatile venues that seem capable of doing it all. Want a magic-themed staff awards party? No problem. Need an audiovisual spectacular to kick off your product launch? Piece of cake. Need an intimate space with superb catering with which to impress a potential new client? It’s already in the bag. 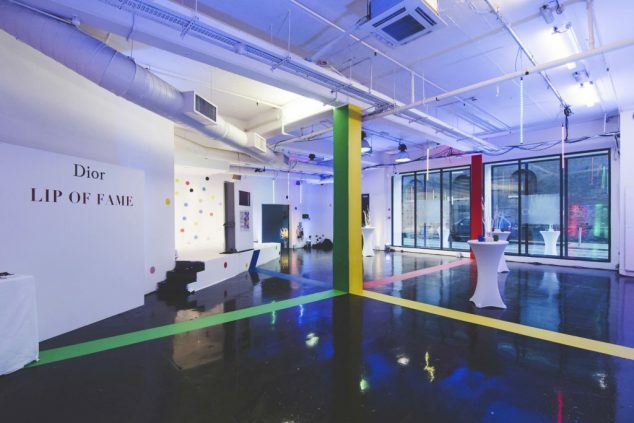 Thankfully, here in London there seems to be no shortage of innovative and highly versatile venues, offering the kind of blank canvas space that can be tailored to suit any requirement. It’s been one of the more exciting venue trends to arise over the past decades, and the versatile venues we’ve seen pop up on an almost monthly basis across the capital never fail to impress. Because we know how important a versatile venue can be for your next big event – be that a launch, a reception, a meeting, a staff party or absolutely anything else – we decided to put together a brief list of some of our absolute favourites out there right now. From true blank canvas spaces to cool, modern, and charming venues which pride themselves on their adaptability, we’re confident you’ll find something here utterly perfect for all your needs… no matter how extravagant or unusual! What makes it unique: this is one of the most successful and sought-after ‘blank canvas’ venues in London today, and it isn’t difficult to see why. Brilliantly versatile and adaptable, it can become more or less anything and everything you could possibly want. 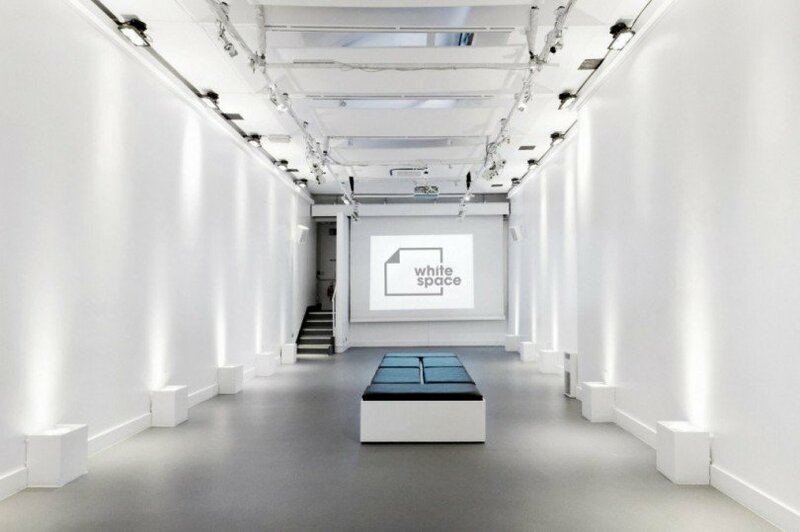 White Space is a truly impressive versatile venue in London. Walking in, it’s a little like entering a scene from a postmodernist sci-fi movie; it really is a blank, brightly lit, white space. What that means, however, is it can be adapted in a million different ways to suit your needs. The entire colour and atmosphere of the venue can be transformed with just the push of a button, your branding can appear absolutely everywhere (even on the doors and banners of the building), and its AV system is sure to blow away your guests with its technological superiority. 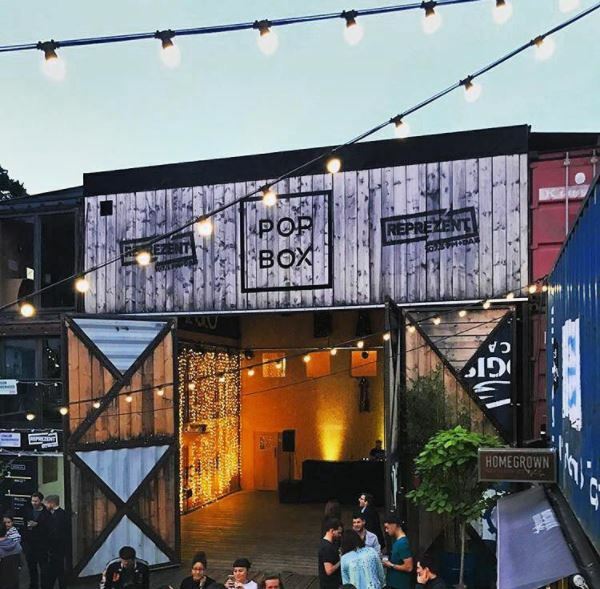 What makes it unique: Pop Brixton is a highly successful community project, which has repurposed unused industrial space in order to create a vibrant, dynamic, and highly versatile venue in one of the city’s most exciting neighbourhoods. Vast, brilliantly adaptable, and humming with a real and tangible vibe which is impossible to reproduce, it’s difficult to be unimpressed by Pop Brixton. With almost 1,500 square metres of space, a variety of different indoor and outdoor areas, and a wealth of ambitious, quirky and dynamic startups calling it home, this is one versatile venue you won’t forget in a hurry. Artsy, bold, and a whole lot of fun, Pop Brixton has the capability to become pretty much anything you desire, and the dedicated team that works here will put in all the hours you need to make it fit your event perfectly. What makes it unique: Huge, versatile, and utterly professional in its running, Studio Spaces E1 treads the balance between hipster chic and slick operation. 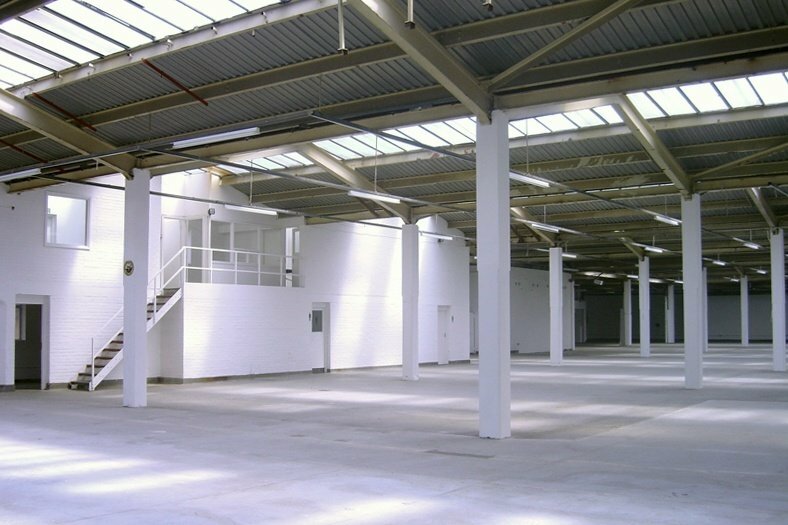 With a variety of spaces to choose from, this former factory is sure to impress your guests and provide the ideal blank canvas for any occasion. This wonderfully inventive venue has hosted a wide range of big-name events over the past decade, and it isn’t difficult to see what drew some of the biggest hitters of the fashion, art, and music industry to its doors. With three huge modular spaces (the white studio, the black studio, and the warehouse) at its disposal, this venue has the space and the capacities to host all manner of events, and ensure branding is consistent throughout. The fact that it is housed in a former East London factory certainly adds some ‘cool points’, too! 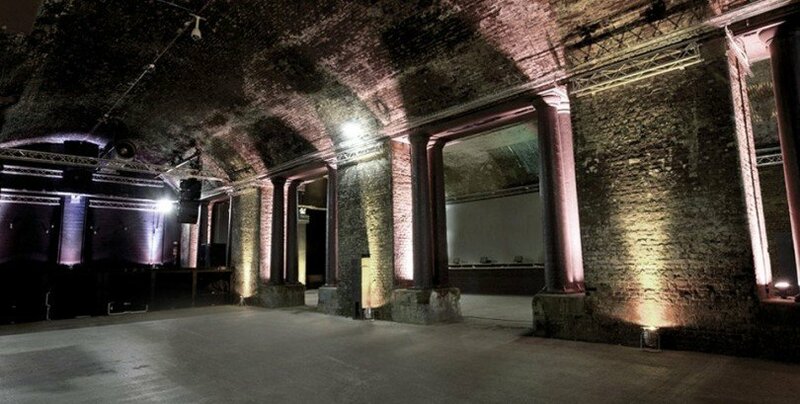 What makes it unique: atmospheric and funky, Bankside Vaults is a firm favourite for events planners in the city. Thanks to its unique architecture, it’s capable of providing spaces for a wide array of events, and will never fail to impress even the fussiest of guests! 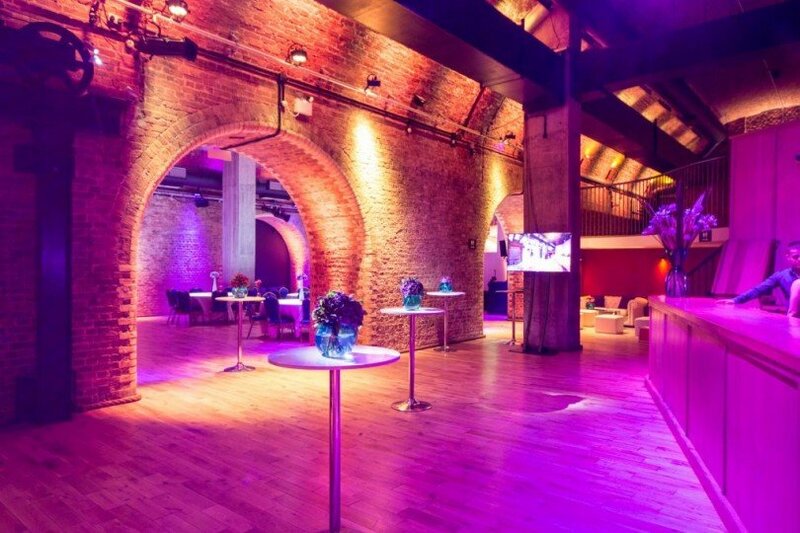 Bankside Vaults is a truly beautiful venue, making use of the stunning architectural features of the railway arches in South East London. Highly flexible and versatile, this venue can be seen as a particularly atmospheric blank canvas, capable of being illuminated in spectacular fashion thanks to the amazing lighting rigs and effects that are found in each room. Whether you want to use it as a nightclub-style setting, or something more formal, this venue has what it takes to tick even your most demanding boxes. What makes it unique: This massive blank space has enormous potential to become pretty much anything you can imagine. With a series of dynamic event spaces, and a dedicated team of experts, it has proven its worth time and time again as a versatile venue of superb calibre. The Old Trewman Brewery is a hugely impressive space upon entering – those endless whitewashed walls immediately get your imagination ticking, and wondering what sort of amazing images might be projected upon them. The venue may be huge and cavernous, but it’s also easy to partition into separate event spaces, making this a massively versatile place to hold everything from fashion shows to trade events, and anything in between. What makes it unique: Nine Adam Street is a versatile venue which really makes a powerful visual impact. The sweeping curves of the interior space, and the combination of different colours and finishes makes this venue stand out from the crowd. This venue was designed by the famed Robert Adams, and features a truly stunning ambience for a blank canvas venue. Located right in the middle of the Strand, it couldn’t be more central, and is sure to delight your attendees with its spectacular finish. This interior space is perfect for a wide range of industry and corporate events, and the team who run the venue have proven their worth at showing off the sheer versatility of the venue, bringing impressive branding ideas to the fore while retaining a unique sense of style throughout. What makes it unique: Huge, versatile, and brilliantly located, Oval Space is quickly garnering a powerful location as one of the coolest and most impressive event spaces in the city. In the three years since it was launched, Oval Space – with its 5000 square feet of quality event space – has more than proven its worth when it comes to capability and versatility. Having hosted everything from festival after-parties to fashion shows, conferences to trade events, and much more in between, the team at Oval Space are well-versed in showing off exactly what their venue is capable of. 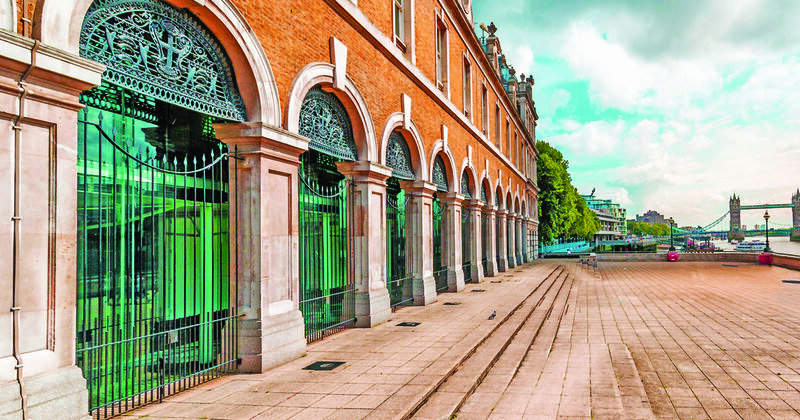 Massive, stylish, and with indoor and outdoor areas aplenty, this event venue deserves its reputation as one of the best new locales in London for ambitious event planners and attendees alike. What makes it unique: Railway arch venues are bang on-trend in London right now, and The Steel Yard is a great example of how cool and slick such a venue can look. With amazing details, a top-notch production team, and a truly unique ambience, this venue is sure to be a massive hit with your guests. 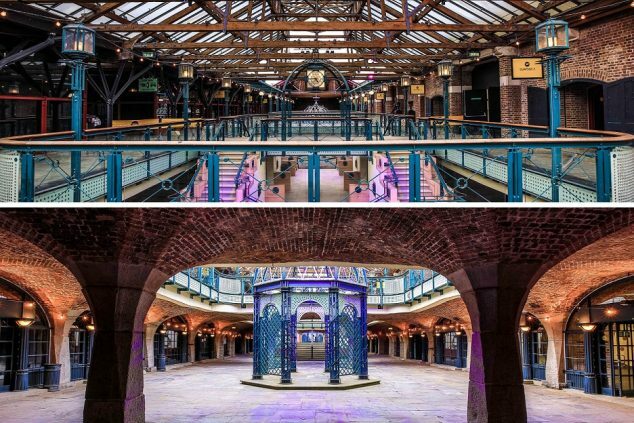 This versatile venue is set within two huge railway arches, where the architectural mastery of the past meets the cool, urban vibes of the contemporary London events scene. Packed full of character and curious period details, it’s a brilliantly ambient venue which can massively impress thanks to the audiovisual properties of the equipment within. Indeed, there’s even a state-of-the-art LED set up, which allows the venue to be completely illuminated in the colours of your choice in spectacular fashion. As we’ve seen, there really are plenty of truly impressive versatile venues operating in London today, each competing to be the best when it comes to making your event a genuinely personalised success, and one which allows you to project your wildest dreams onto their blank canvas walls and furnishings. It’s an exciting time to be involved with events planning, not least because of the quality of many of the latest venues to come onto the scene. At Venueseeker, we make it our job to know about each and every one of the newest, hippest, and coolest venues out there. Want to find out more? We’re waiting for your call!